Every Week, we release a new article with the goal to help you get to the next level in your life, whatever that may be for you. Whether it's on health, relationships, finance, or career, we've got you covered. Every Week, we release a new article with the goal to help you get to the next level in your life, whatever that may be for you. Whether it’s on health, relationships, finance, or career, we’ve got you covered. Mornings are one of the most important aspects of having a high performing day. The first hour of the day is critical in building momentum for the day ahead. Here are some of the top ways to set your day up for success! A successful morning starts the night before. Setting up your morning the night before guarantees a smooth start to the day. Lay out your clothes, plan out your day, and layout your morning so that you are ready to crush the day. When you wake up, your body is dehydrated – You have gone 8+ hours with no liquids. As soon as you wake up, drink a glass of water. It will kick start your metabolism and let your body know it is ready for the day. One of the best things to do in the morning is to engage your body physically. Whether it’s a 20 minute walk, 30 minute yoga flow, or a 45 minute resistance training session, it will change your level of energy & focus to tackle the day. On any given day, we have tasks that seem more challenging than others. Take on your biggest challenge first so that you are fresh and ready to take it on as your best self. Once it’s completed, you’ll feel accomplished – carrying that energy for the rest of the day. Practicing gratitude allows us to start our day with presence and reconnect with what matters most. Just 10 minutes of gratitude in the morning can set us up to tackle the day with energy & drive. Mornings are a key component of having a productive and successful day. 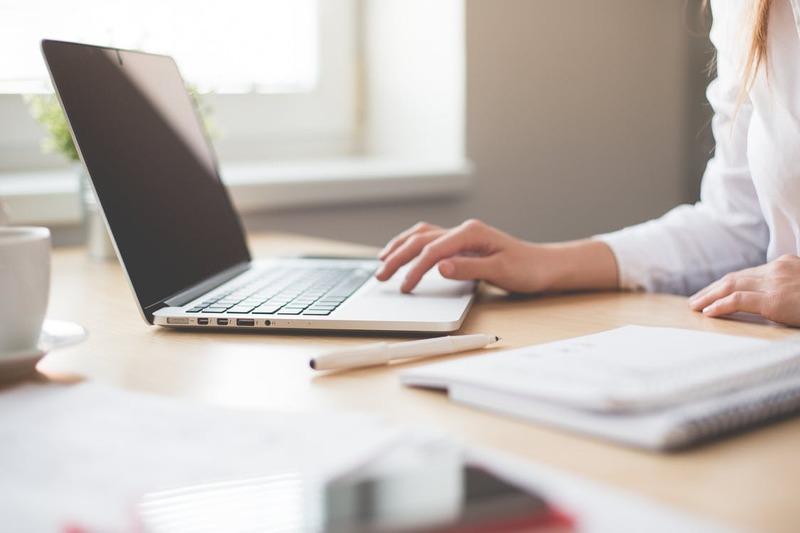 Incorporate these strategies and you will see instant improvement in your level of performance at work, at home, and in life as a whole. Have you ever wondered how some people just have a certain magnetism about them? That people are just drawn towards their energy? To some, this comes more natural but this is something that can be learned and developed. The following are our top tips to raise your social skills and become a social magnet! People that are more positive tend to attract better relationships into their life. In any social setting, the person who has a positive outlook will most likely draw people in. Positive energy attracts positive interactions. Smiling is one of the most contagious things you can wear to your next social outing. If you are bringing a bright smile to any social setting, you will find people being naturally drawn in. Ask questions! This is so simple but often goes so overlooked. Be curious about the people you are socializing with and it will instantly make you seem more likeable. People like people that are interested in them – find interest in others to instantly up your social game. Having the courage to sharing your ideas, perspective, and opinions is a major factor when it comes to social dynamics. Nobody wants to be around someone who agrees with EVERYTHING. Speak up and share your unique perspective – People will appreciate it. Presence makes the interactions you have with others truly memorable. People remember if you were fully present. Presence leaves a lasting impression. Increase your social capital with true presence. When we find ourselves in social situations, we want to make sure that we show up as our best selves and positively impact everyone involved. Use these tips to improve your social capital and become a people magnet! When it comes to being in good shape, there is nothing more beneficial than resistance training. Resistance training is one of the best ways to transform our bodies. Here are some of the top benefits to incorporating this style of training into your fitness routine. When you train with resistance, you increase the mobility of your muscles and your bodies overall flexibility. Weight training will improve your flexibility by getting your body used to the full range of motion of your selected workouts. Training with resistance speeds up your metabolism by activating the muscles you train. By your muscles being stimulated, your metabolism is signalled to speed up and adapt to the increased demand. Strengthening our muscles is one of the best ways to reduce our risk of injury and muscle pain. 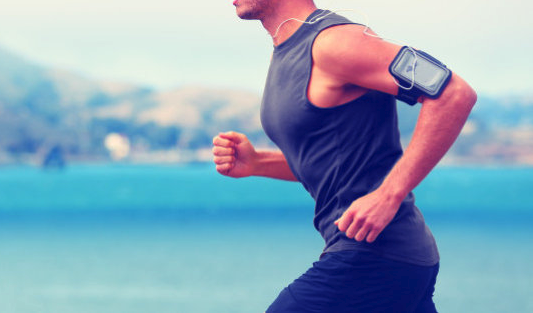 Consistently activating our muscles helps them recover quickly and become more resilient. Resistance training has been directly correlated to boost in mood and overall emotional well-being. Even something as short as a 20 minute circuit can have us feel great for our entire day. Whether you want to get healthier, completely transform your body, or just get a little bit stronger, resistance training is worth the commitment. Start with x3 20 minute sessions a week and slowly increase the volume. You’ll see changes in no time! When it comes to leading a healthy lifestyle, there are hundreds of tips, tricks, and diets that claim to ‘help you lose 10 pounds in 10 days’ or ‘make you burn fat twice as fast’. 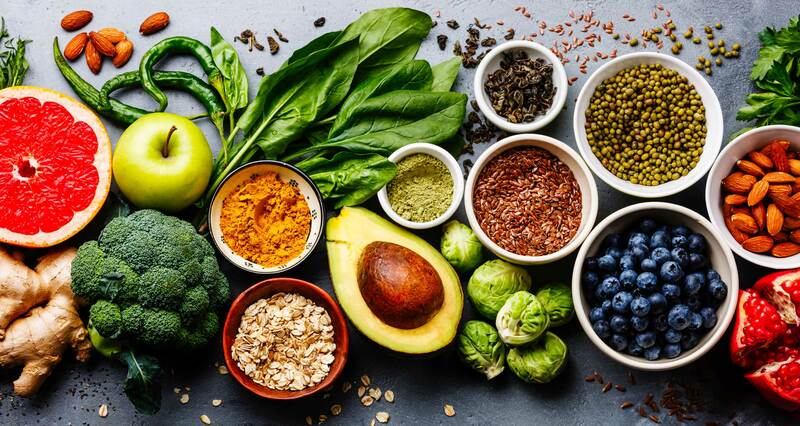 They all pose different theories, but one in particular has gain serious momentum over the past few years – The high fat, low sugar approach. Here are some of the top benefits of incorporating a lifestyle of FAT. When we eat sugar, we have a quick spike in Insulin that gives us a short term energy boost, followed by a crash. Fat is a more consistent, long-term energy. When we eat high fat, our body produces Ketones – an energy source that lasts much longer than the quick spike you get from sugar. Fat satiates you much quicker than sugar. It keeps you feeling satisfied for longer because of its caloric density. This prevents over eating because you don’t experience nearly as many cravings as you do on a traditional high sugar diet. When our bodies rely on sugar for energy, we have fast bursts followed by a crash. When we eat high fat, our bodies produce ketones – a long-term energy source the produces more sustained energy without the crash. This will keep you feeling dips throughout the day and have you feeling great. 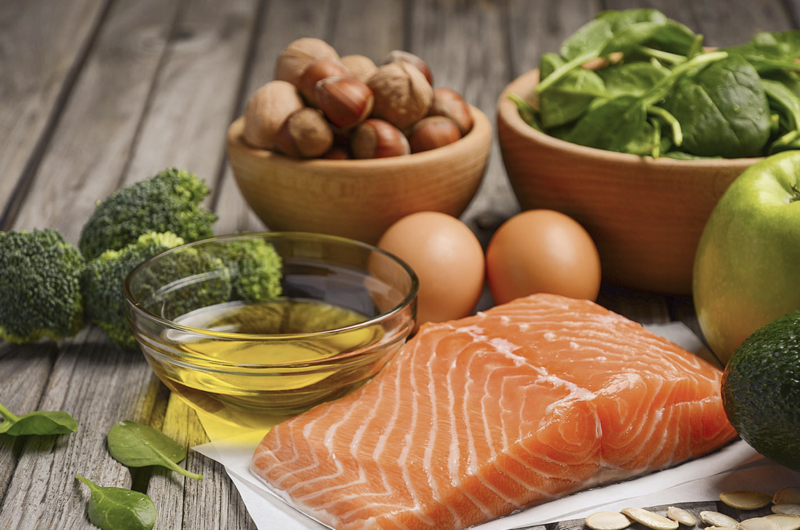 Having healthy fats is one of the best ways to boost mental focus and increase cognition. The majority of your brain is made up of fat which means it needs good fats to fun at an optimal level. Having more fat optimizes our energy, creates better focus and makes us feel great. Curb your cravings and drop pounds instantly by incorporating a lifestyle of FAT! When looking to strengthen & improve our bodies, stretching and mobility is often overlooked. Improving our flexibility is one of the best things we can do for the longevity of our muscles & joints. 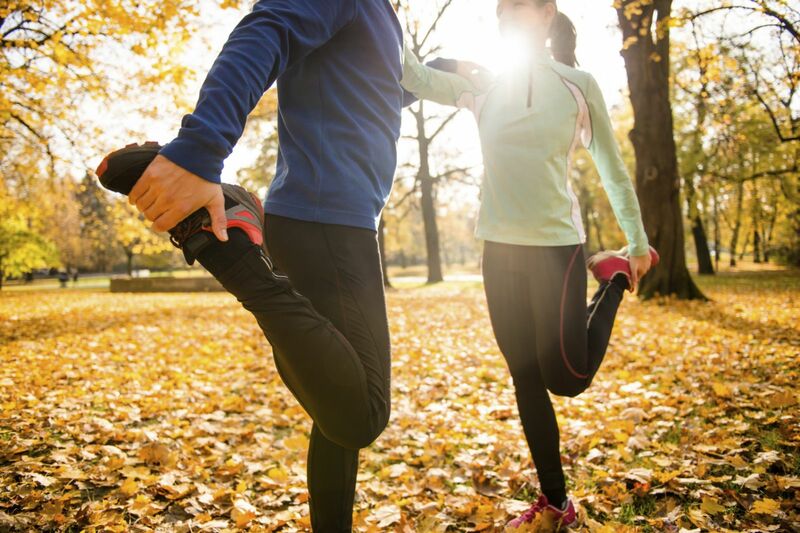 Here are a few of the top benefits of stretching. When thinking of building strength, we rarely look at flexibility as an essential piece of the puzzle. Improving the flexibility and elasticity noticeably improves our strength on all fronts. Want to get stronger? Start stretching! 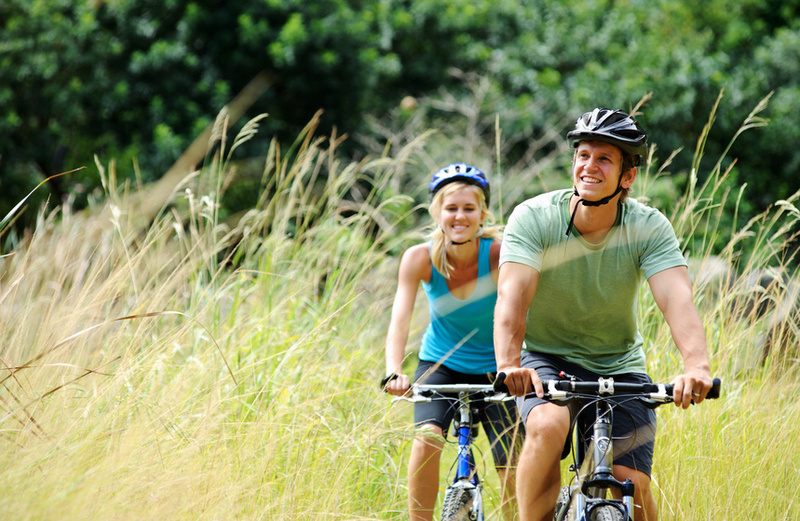 When living an active lifestyle, it is easy for us incur some form of injury. Incorporate stretching into your daily routine and this will drastically reduce your likelihood of getting injured. As we age, our bodies will naturally become less and less mobile. If we want to maximize our mobility and keep our ability to move for longer – we need to incorporate daily stretching into our lives. Stretch now to be able to move later. 1 in 10 people experience some form of physical pain on a regular basis. Chronic pain is an epidemic that affects more than 1.5 billion people worldwide. If you want to live a pain free life, a step in the right direction is incorporating at least 15-20 minutes of stretching a day. We all want to live longer, energy rich, healthy lives. That starts by building an maintaining a health body. We suggest a minimum of 15-20 minutes of stretching every single day to improve mobility, reduce pain, and to level up your life! Our energy levels are determined by what we eat. If we have a lack of energy, we need to look at the foods we are putting in our bodies. Here are 5 foods that will instantly give you a boost of energy and have you feeling great! Bananas are a great natural energy source that are packed with potassium and fiber. They will give you an instant spike of energy that will leave you feeling full for longer. They are also a great base for many healthy treat alternatives. Spinach is one of the best sources of Iron which is a key component of energy production in the body. It is packed with protein and is considered a superfood. Put it in your shake, make it into a salad or cook it into your meal to have your body feeling alkalized and energized. Nuts have been found to boost cognition and focus while being filled with nutrients such as Vitamin E and Magnesium. They are a healthy, easy to incorporate snack that will fill boost energy because of their caloric density. Pack some in your bag before you head out for the day. Unlike other fruits, blueberries are low-glycemic – meaning they are low in sugar. While they are low in sugar, they are packed with anti-oxidants and nutrients that will keep your brain and body running at an optimal level. Avocados are packed with nutrients such as Vitamin K, Vitamin C, & Potassium. They are filled with healthy fats that will keep you feeling energized throughout the day. And plus, who doesn’t love a Guacamole! The more energy we have, the more we can get done. Maximize your life and take your relationships, career, and health to the next level of energy by incorporating these foods into your life. 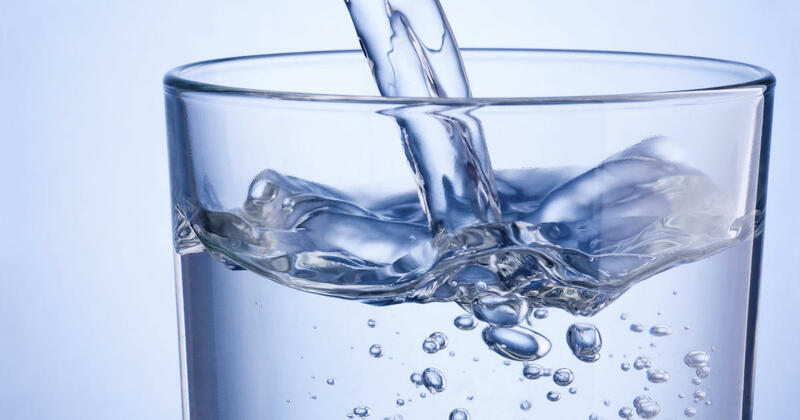 Studies have shown that 75% of Americans are dehydrated – and our bodies are on average 60% water! Something doesn’t add up. To take care of our bodies at a high level, we need to take care of our water intake. Here are some of the top reasons why you should drink more water. Drinking more water has been linked to improvements in physical performance. More hydration for your muscles means better recovery and more growth. By drinking more water, you are less prone to injury and have greater overall muscle & joint health. We all have experienced energy dips or brain fog throughout the day. Often times, that is due to dehydration. Drinking more water has been shown to boost cognition, improve mental focus and give you the energy you need to power through your day. Having more water recreates the sensation of feeling full which will limit the amount of calories you consume throughout the day. Get into the habit of having a full glass of water first thing in the morning. This is a great way to start your day and prime your body for weight loss. Drinking water helps your body flush its system of toxins. This cleansing keeps your skin clear, while reducing your chance of developing acne. If you want to have clear, soft, oil-free skin, make it a point to start drinking more water. The recommended water intake is half your bodyweight in ounces a day. An easy start is to drink a glass of water first thing in the morning, with breakfast, lunch, dinner, and before going to bed. This is going to prime your body to have energy, lose weight, and feel great! As far as healthy snacks go, nuts are considered to be one of the most beneficial foods to incorporate into your diet. Here are some of the top benefits of having more nuts in your diet. 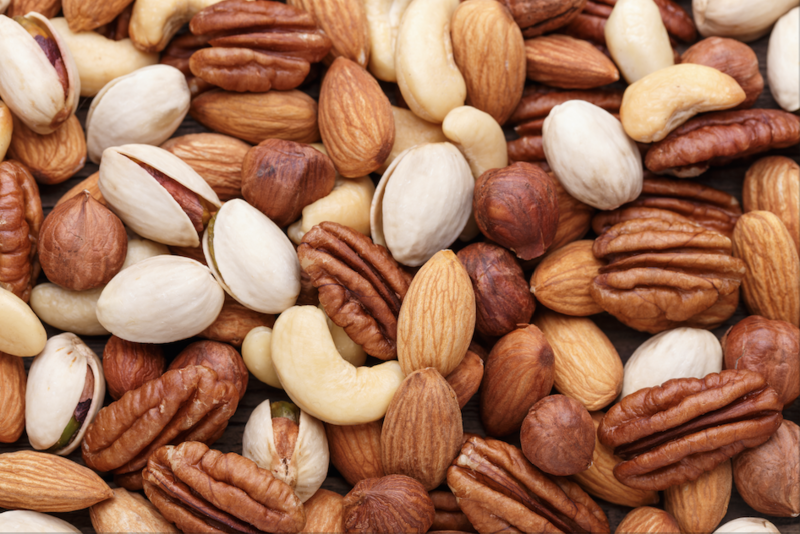 Nuts are packed with a multitude of nutrients such as Vitamin E, Magnesium. They are also loaded with Antioxidants and countless other minerals that keep our bodies running at an optimal level. Aside from all of the nutrients, nuts are packed with protein – as much as 5g per serving! If you are looking to get in great shape, upping your protein from natural sources is a great first step. As I’m sure you know, nuts are loaded with good fat that does wonders for your brain. Having more nuts improves memory, cognition and overall brain health. Why else would walnuts be brain-shaped?! In the business of life, it can be challenging to find healthy snacks that are convenient and fast. 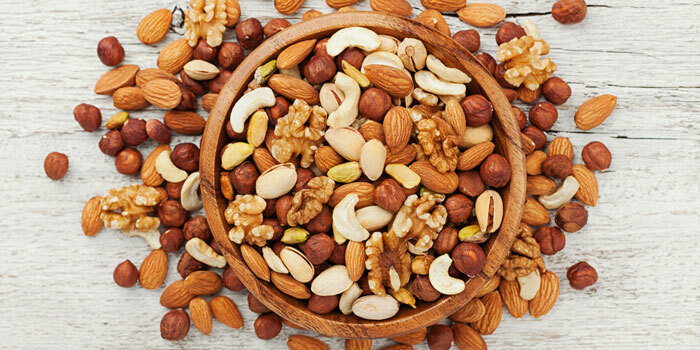 A container of nuts for the car, at the office, or around town is one of the easiest ways to keep on top of your health while living life fully. We are all looking for ways to bring up our health. This is a solid starting point for moving towards a healthier body and life. For most, the idea of starting the day with a jolt of freezing water isn’t exactly appealing. After hearing a few of these benefits, you may change your mind and try it out for yourself. When we shock our body with cold water in the morning, it is triggered to start taking deeper breathes (to keep our body warm), thus circulating more blood throughout our body generating more energy. This gives us a natural boost of energy for the day. Cold water improves circulating by boosting blood flow to surround our organs. The cold water also causes our body to more efficiently pump blood throughout our system which improves our overall heart health. Cold water stimulates the mobilization of brown fat activity. It causes us to burn more calories and have been found to release as much as 9 pounds in a year if done consistently. Professional athletes don’t exactly take ice baths for ‘fun’ they do because it is one of the most effect strategies for reducing muscle soreness in the days following an intense workout. It has been shown to reduce muscle soreness 1-4 days after the training session. It may not be the easiest practice to incorporate, but with all of the associated benefits, it is worth trying it for yourself. 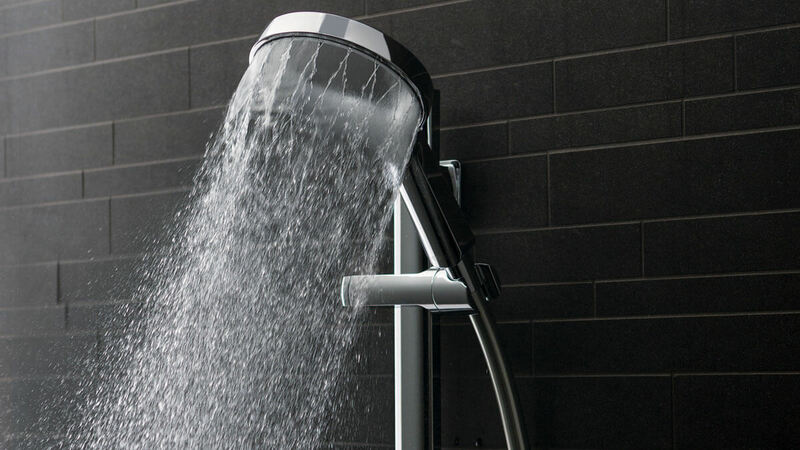 Take a week and see the incredible benefits of starting your day with a cold shower. Friendships can have a significant impact on your health and well-being. They are critically important in living a whole, fulfilled life and can help you find meaning. 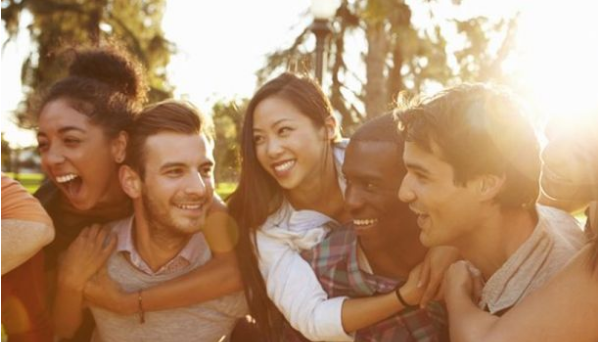 Here are some of the top benefits to having strong friendships. 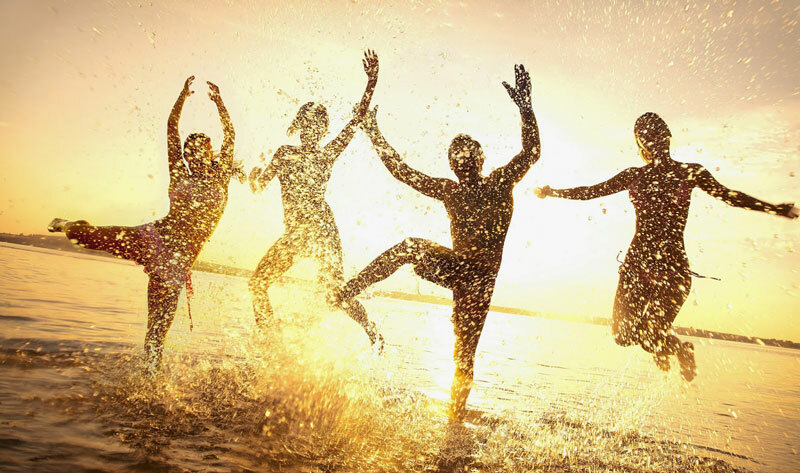 When we surround ourselves with friends, we experience an influx of feel-good chemicals. Chemicals, such as Dopamine, are released in the brain which cultivates positive emotion. Surround yourself with good friends and feel great instantly. When life throws you a curve ball, it is important to have a good support system to help you through the tough times. Building a close knit friend group will make getting through life’s hardships much easier. When we are surrounding ourselves with people we love, we get to experience more joy. Having experiences with friends makes them more enjoyable and allows us to live fully. One of the best ways to reach your goals is to have friends that hold you accountable. Accountability is critical in the achievement of your goals. Create a solid friend group and it will raise the level of accountability in your life. Having a great friend group creates a sense of meaning in your life. Having a group of people that are aligned with who you are will help you define an empowering meaning for your life. To get the most out of life, we need to have strong friendships. Friendships help us experience more joy, boost our productivity, and live a meaningful life. Grow your friendships and watch your life level up. We are into the final weeks of January and it’s time to keep pushing forward with our 2019 goals. How do we build the confidence to make our goals a reality? We often get caught up in the end result of what we’re after as opposed to enjoying the journey we are on to achievement. A great way to build confidence is by getting present with where you are and finding ways to enjoy every step of the way. You become who you surround yourself with. If you surround yourself with people that are confident in who they are, you will find yourself becoming the same way. Your environment is everything – make sure it is one that builds confidence. If we were to talk to others the way we talk to ourselves – we would have no friends. Learn to appreciates the parts of yourself that make you unique. Create daily affirmations and practice them every day. This will help you become truly confident from the inside out. Confidence is grown when we step out of our comfort zone and lean into fear. We experience the most growth when we are uncomfortable – this forces our confidence to build. You want to have more confidence? Put yourself in situations which you fear most. The most confident people out there are those that are 100% authentic to who they are. They don’t try and be something they’re not or put on a mask to hide who they are. They fully express themselves. Confidence starts by knowing who you are. We all want a little more confidence – to do, be, or create more in this life. These tools will allow you to build more confidence so you can move towards your ideal life – so you can create the best year ever! It’s 2019 and for most of us, we are always looking for ways to improve. Improve our careers, relationships, & most importantly – our health. Without a healthy body, we can’t give energy to the things that matter most. 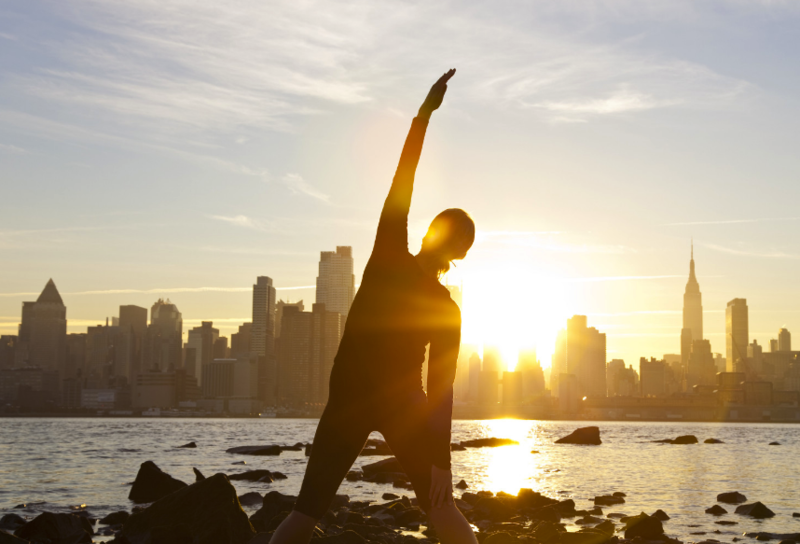 Here are some of the top benefits of working out in the morning. A morning workout is one of the most effective ways to boost your energy for the rest of the day. Your blood is circulating and your is getting increased levels of oxygen. Want to win the day? Try out morning workouts! For many people, they wake up feeling tired, unmotivated, and lazy. It isn’t until they stand up, get in the shower, or grab their morning coffee that those thoughts start to fade. Our mindset in the morning is so important because it plays a huge role in the quality of our day. A morning workout is one of the best ways to shift that morning mindset to one that will help you have a great day. The strength of our habits starts in the morning. If we want to have strong habits, we need to have a strong morning routine. When you start to incorporate working out into that routine, you will see a boost in your level of consistency when it comes to other habits you are looking to form. When we are looking at boosting our longevity, working out and maintaining an active lifestyle is one of the most important factors. Working out in the morning will help you build the necessary habits to build a healthy & strong body, thus living longer. When we have finished our workout in the morning, we have the rest of the day to focus on the things that matter. We no longer need to cut out family time to go to the gym and carve out business hours to get a workout in. We finish in the morning and are ready to win the day. We all want to get more out of the year ahead and our lives as a whole. Incorporate morning workouts and experience the dramatic shifts in your energy, mindset, habits, & overall health! It is easy to get caught up in the holiday season and get surprised by January 1st. If we don’t prepare, we won’t have the opportunity to start our year off on the right foot. Here are a few ways to set up your 2019 so that it becomes your best year yet! When a new year is around the corner, it is easy for us to forget about the year that has passed. Reflect on both your wins & losses for 2018. 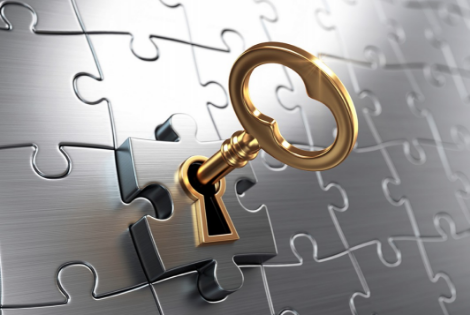 Look at the keys to your wins and what you could learn from your losses to carry a new level of experience into 2019. 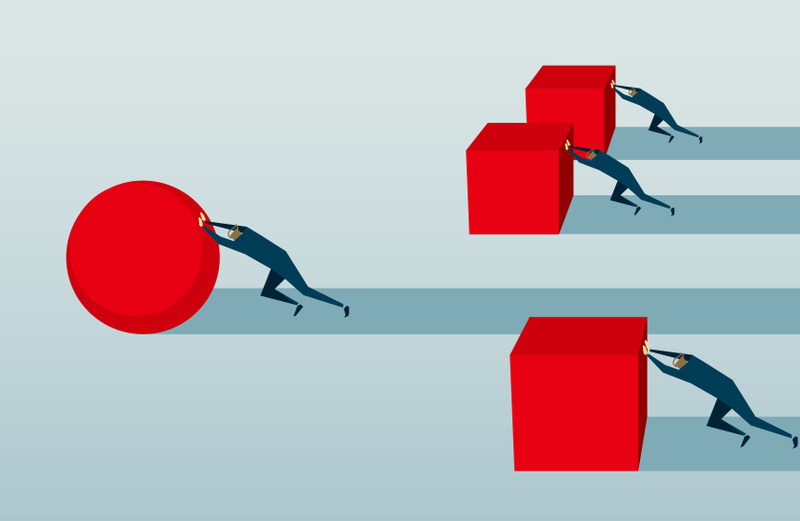 Organize your top outcomes for 2019 and see what takes priority. Make a list of what is most important for the year ahead and organize your yearly plan accordingly. Whether that is health, relationships, business, or personal, pick an area that will be your main focus for 2019. There are so many things we want to achieve at the start of a new year. New Years Resolutions are set, goals are written down, all in hopes of creating a better life. But if we leave that planning to January 1st, we are setting ourselves up to feel overwhelmed. Start your 2019 habits now so that when you make your grand entrance to 2019, you are ready to rock it! In anything we are looking to achieve, it is essential to have a vision for what we want. Visualize exactly what you want 2019 to look like so that you can take the necessary steps to making that vision a reality. The most essential part of having a great 2019 is creating a great plan of action. Without an actionable plan, we cannot achieve the things we want to achieve. Make a plan and start taking action towards that plan today. This is how you make your 2019 the best year yet! Our lives are determined by the decisions we make. Decide today that 2019 is going to be the year for your business, your relationships, your health, and yourself. Living a healthy lifestyle starts with a healthy diet. What you put in your body will drastically affect your energy, mood, and well-being. It can be tough to maintain good health habits – but it doesn’t have to be. Here are 5 super foods everyone should be having. The quickest way to good health is to increase your intake of greens. Dark Leafy Greens are an excellent source of nutrients including folate, zinc, calcium, iron, magnesium, vitamin C and fiber. These protein power houses are filled with omega 3’s and work as the perfect energy booster. Sprinkle on your salad, toss in your shake, or top your next meal for a protein filled health boost. When we discuss good kinds of fat, avocado wins every time. Filled with nutrients & the best kind of fat, avocado is the perfect addition to any meal. Rich in Anti-Oxidants, Blueberries are one of the best fruits out there. They are low glycemic (not a lot of sugar), rich in vitamins, minerals and are delicious! This great snack is high in protein, good fats, and boosts brain function & cognition. Perfect for when you’re tight on time and are looking for a quick, tasty bite that will satiate your hunger. In today’s fast moving society, we have so many distractions & temptations from eating healthy. Incorporating these foods into your diet is a step towards a healthier lifestyle – it is a step towards a more full & energy rich life. Self-esteem is one of the keys in stepping into our best self. If we want to live a better quality of life, it starts by how we see ourselves. 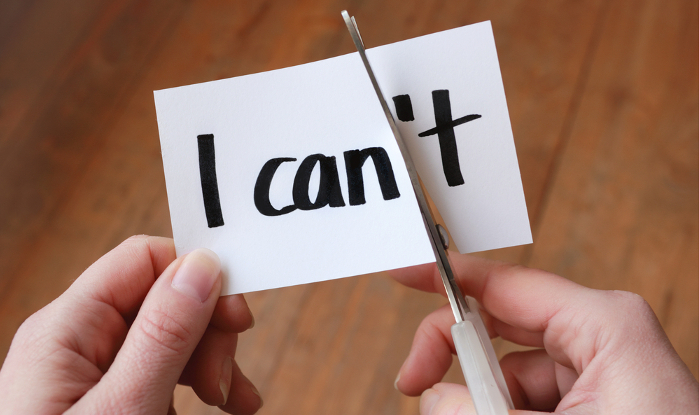 Here are some great ways to boost self-esteem. You become a product of your environment. Surround yourself with people that build you up and appreciate who you are – they will boost you self-esteem in a major way. It’s not about being more of something else, it is about being more of who you are. When you fully accept all of your imperfections, you feel more confident about who you are. Our biggest problem is that we think we shouldn’t have any. Problems are what make us human. Realize that our imperfections are what make us unique – they are your ultimate asset. You are what you repeatedly tell yourself. One of the most powerful ways to boost our self esteem is to intentionally create the person we want to become through affirmations. 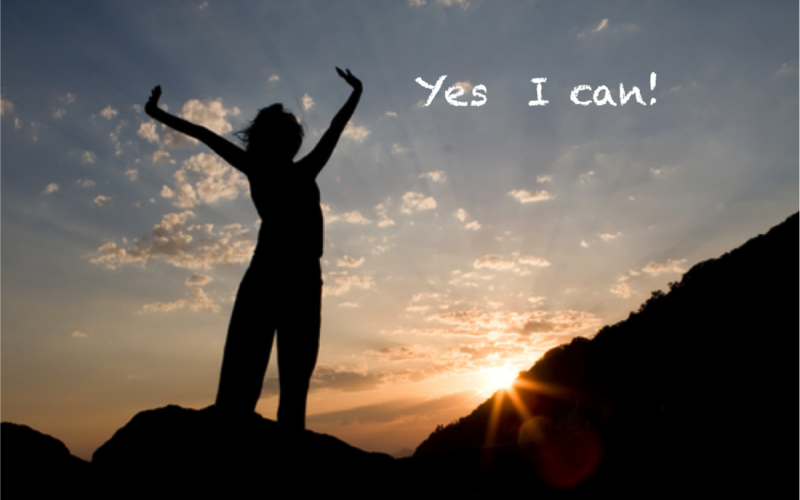 Set aside 5-10 minutes for affirmations and see drastic changes in your self-esteem. Changing the way we see ourselves can drastically improve the quality of our lives. Doing these things will grow our relationships, our businesses, & ourselves. Turmeric is one of the most anti inflammatory substances we can possibly incorporate into our diet. It is one of the most powerful foods we can have to maximize our health and live with optimal energy and vitality. Turmeric is one of the top foods we can eat to battle inflammation. It is so powerful, that it even matches the power of some anti-inflammatory drugs. It fights inflammation at a molecular level to have your body running at an optimal level. Turmeric significantly reduces inflammation, this directly benefits the function of the brain. It is shown to improve memory, reduce chances for Alzheimer’s, and improve the longevity of the brain. Having turmeric can greatly improve your brain function and have your brain operating at a high level. Inflammation is directly correlated to the growth of cancer cells. By implementing turmeric into your daily lifestyle, you drastically reduce your chances of having cancer in the future. By reducing inflammation, you reduce your chances to incur disease and increase your chance to live a “disease free” life. Inflammation can be a major cause for joint and muscle pain in people of any age. Turmeric can help improve the health of your joints & muscles and can contribute to the longevity of your body. Take turmeric every day to increase the health of your muscles and joints in the long run. 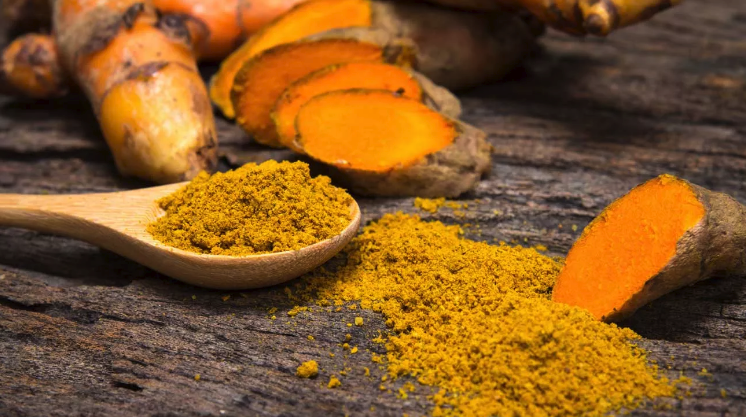 Whether it is putting it in your smoothie, or having a turmeric supplement, incorporate this powerhouse supplement to drastically change the health and vitality of your body. Many say that travelling is reading the pages in the book of life. Travelling can expose you to cultures, people, and ideas that you would have never been exposed to staying home. Here are some of the top benefits you will experience when you take a trip and experience travel. 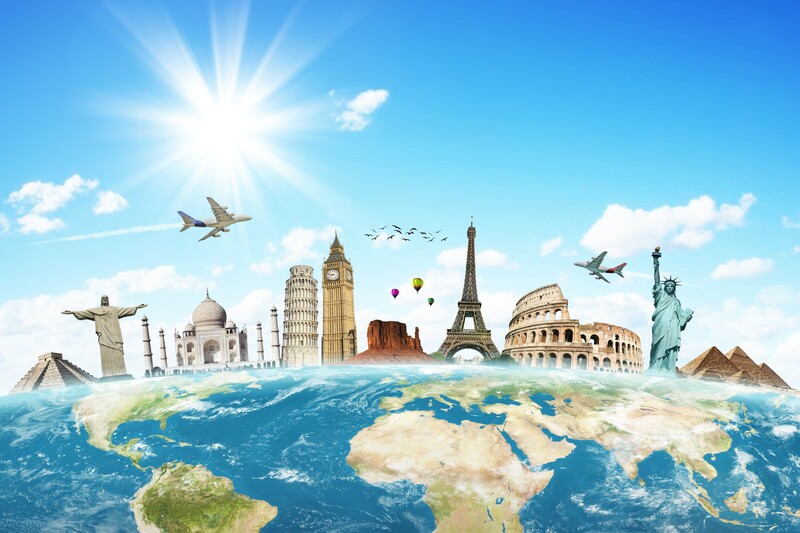 Travel will open your eyes to new cultures, new perspective and new ways of living. It will expand your mindset and perspective in a way that will allow you to move forward in your life. The insights and perspective you adopt will change the way you live your life back home. You will meet the most amazing people! You will meet people you wouldn’t normally meet that will inspire you to live & experience life in a completely different way. Even if it is something as small as a new food, or a traditional game to play with friends, or a value rooted in their culture – you will learn so much from people you meet while travelling. You didn’t think we were going to forget this one, did you? Travel opens you to the opportunity to immerse yourself in multiple languages. Not only the language, but also the people that make the languages so special. Want to learn a 2nd, 3rd, or 4th language? Pack your bags and plan a trip! When we are in unfamiliar territory, many times it can feel uncomfortable. It is in discomfort where we experience the most growth. Life begins at the end of our comfort zone and travelling is one of the best ways to go beyond our comfort zone into an unbelievable amount of growth. Travel is something that all of us should experience at one point in our lives. It opens us up to new perspectives, new people, and new places. It will grow our mind and expand our heart. Travel will change the way you see the world and in turn, change the way you live your life. It is no surprise that the happiest people on earth also are the ones who smile the most. It’s proven that smiling releases dopamine and endorphins, the ‘feel good’ chemicals in the brain. If you want to experience more happiness, make the intentional decision to smile more. People are naturally drawn to people who smile more often. If you want to be more likeable, smile – you will be shocked to see how people respond. Grow your social circle and become everyones favourite person. Whether it’s your friends, family, or people in your professional life, people will be more connected to you if you smile more often. If you want to build better relationships, make the conscious decision to smile more to the people in your life. It is proven that the more you smile, the longer you will live. There is a strong correlation between happiness and longevity. If you want to live a long & full life, make the decision to smile more. We are all in the pursuit of the goals we want accomplish. What will drastically change our ability to succeed is our level of happiness. And what will drastically change our level of happiness is our ability to smile. Smile often to live a happy, fulfilled, and relationship filled life. We all could use a little more time. Time for our work, our mission, our family and our friends. What if we could actually create more time? We like to think that we can. Here are some of the top ways to make more time for the things that matter to you. It is easy to feel like time is flying by when you don’t schedule your day. Creating hour by hour blocks is the quickest way to increase productivity and gain an understanding of exactly where your time is going. For the most part, we experience the highest levels of productivity in the morning. Schedule your most challenging tasks earlier in the day (ideally before lunch) so that you can set yourself up to win. It sounds really counter intuitive. But taking intentional 15-20 minute breaks can tremendously boost your levels of productivity in your work time. Set breaks between 60-90 minute work blocks and see your productivity sky rocket! By engaging with multiple tasks, we actually diminish our ability to be optimally productive in what we want to accomplish. Give full presence to the things you do and start experiencing a boost in productivity instantly. We all want more time. By implementing these strategies, we can actually do just that. By boosting our productivity, we can give more time to the things that matter and we can experience more of life. To be able to pursue the things in life that are outside of our comfort zone, we must have confidence. 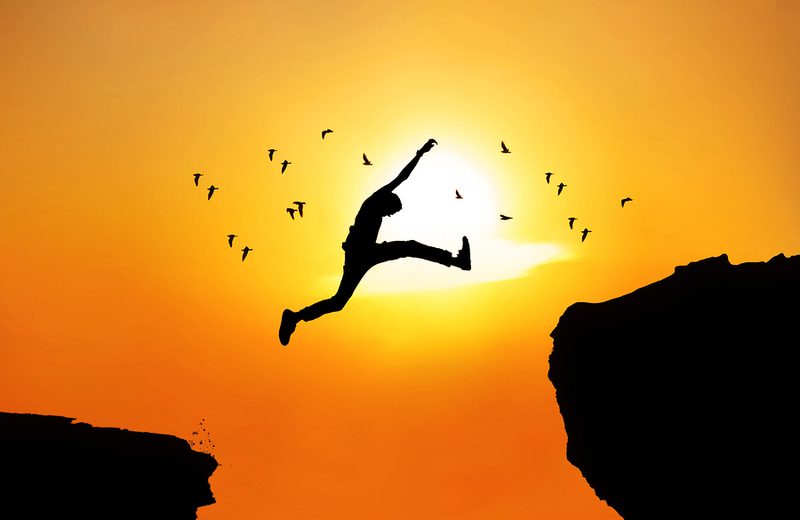 Confidence in our ability to achieve the things we’re after and to take the leap of faith into the unknown. Here are 4 keys to being more confident. 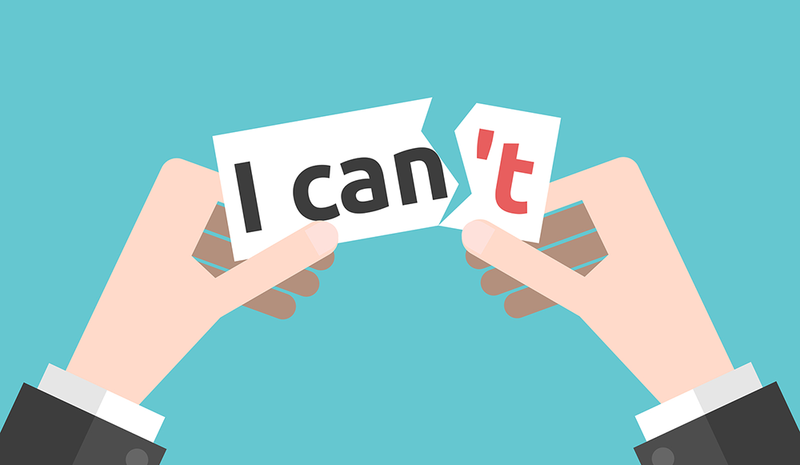 Lack of self-confidence often comes from a poor self-image that is often inaccurate. Take time every day (ideally morning & night) to visualize the person you want to become. How do they walk, speak, interact with the world. Take this on as a daily practice and you’ll feel yourself become instantly more confident. You are the sum of the 5 people you spend the most time with. It is critical to surround yourself with people that lift you up. Surround yourself with people that have a lot of confidence in themselves and you will see your confidence naturally increase. Neale Donald Walsch famously said “Life begins at the end of your comfort zone” If you want to build real confidence, you need to consistently find ways to put yourself in uncomfortable situations. Whether it is giving a speech, having a tough conversation, making the hard sales call, these will all build an unshakable confidence. Many people achieve goals that are so unrealistic, it actually sets them back. It is great to set unrealistic goals, but your means for achieving the goal must be realistic. Creating plans for the things you want to achieve is the quickest way to accelerate your success. Clear plan = goal achievement = confidence boost. We could all use a little more confidence in our day to day lives. Confidence to achieve in our professional life, confidence to show up fully in our relationships, and confidence to achieve what we’re striving for. Implement these 4 strategies and feel your confidence increase instantly. If we aren’t growing, we’re dying. It is critical for us to constantly develop ourselves to be able to perform at our highest potential. Here are a few of the top benefits of incorporating reading into your daily practice. No matter how much stress you are experiencing in your life, the moment you pick up a book, your brain has a hard time focusing on and giving energy to the cause of your stress. Even if it is just for 20 minutes, you will see a drastic change in your stress levels after a quick read. Whether you’re reading a novel or a personal development book, you will gain knowledge and insight that you can apply in your life. A new perspective from your favourite character or practical strategies in an educational read, it all will help you grow and level up your ability to thrive through life. One of the top ways to improve your memory is to train and stimulate your brain – reading does just that. Incorporating reading into your daily ritual will consistently train your brain which will lead to the improvement & longevity of your memory. Everyone has experienced a time where we feel a lack of focus. With everything going on in life, it is easy to break focus and have our thoughts feel like they’re all over the place. Reading will train your ability to focus which will translate into your level of engagement in your professional & personal life. At times, it feels like life is moving at light speed. 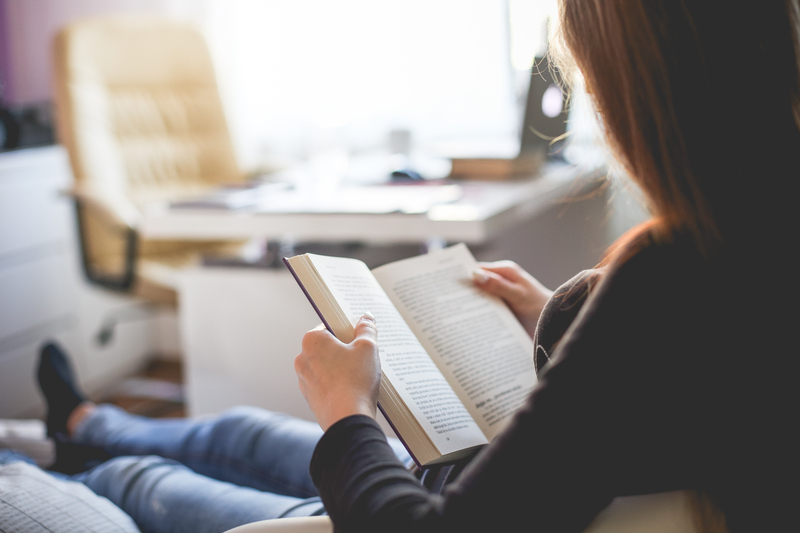 By incorporating just 20 minutes of reading a day, it gives life the opportunity to slow down. It gives you a chance to escape from all of the happenings in your professional and personal life. It gives you a chance to energize and take time for you. And lastly, it gives you the ability to take your life to the next level. Greens are of the top foods you can have to increase you energy levels. They are easy to digest and provide your body with the proper balance of nutrients to perform at an optimal level. Eat more greens and watch your energy go through the roof. Eating green foods provide your body with all of the necessary nutrients to lead a healthy lifestyle. 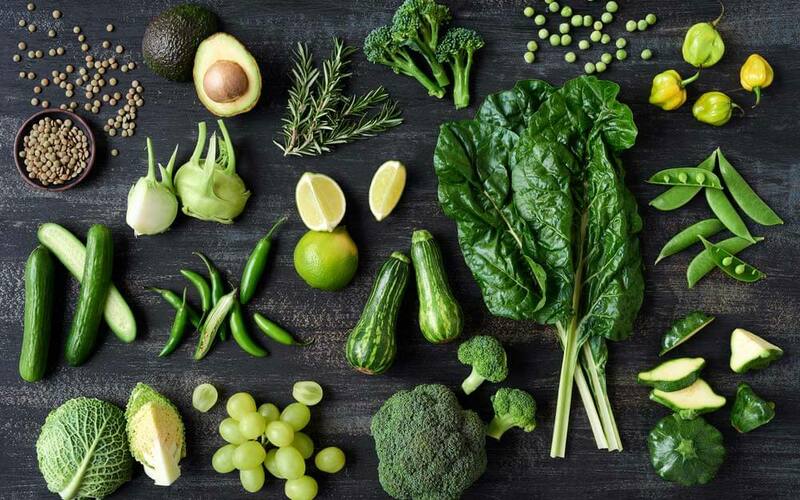 The most essential nutrients found in greens include calcium, magnesium, potassium, and vitamins B, C, E, and K.
Eating Greens will keep your Immune system running at an optimal level and will drastically reduce your risk of harmful illnesses such as Diabetes, Cancer, and Heart Disease. Want to reduce your chances of getting sick? Eat more greens! Greens are the most effective type of foods to Alkalize your body, keeping your PH at a healthy and stable level. Greens are also some of the most water rich foods that are out there. If you want to stay hydrated, eat water rich green foods. The food we put into our bodies act as the fuel for us to be able to go through life. 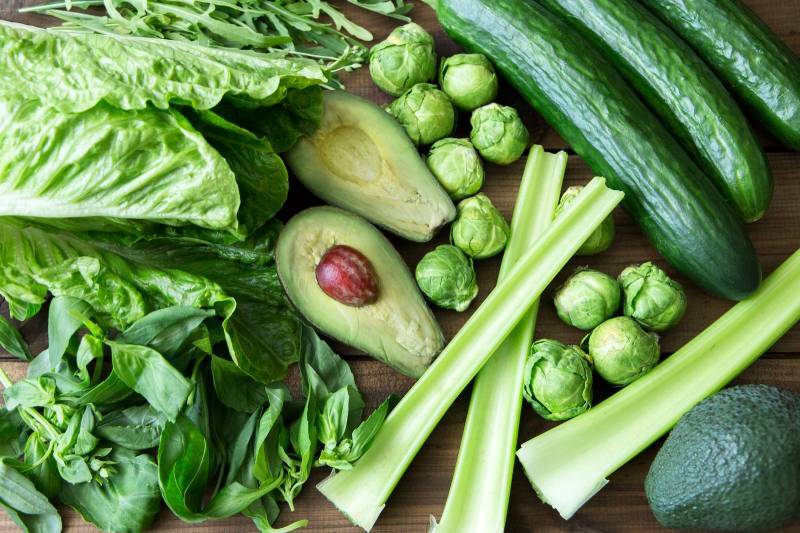 If you want to experience life with an optimal level of energy, a strong immune system, and a disease free body, incorporate more greens into your daily lifestyle. The people you surround yourself with drastically affect the way you feel and experience the world. You are the sum of the 5 people you spend the most time with. Whatever your aspirations for your life may be, it is critical that your friends are aligned with them. 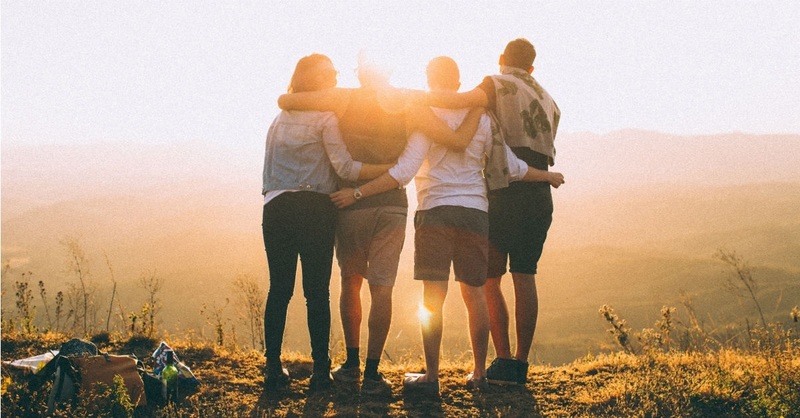 Here are the top reasons why friends are a key to success. Countless studies have shown that having a group of friends has direct correlation to happiness. Many times, life tests us with challenges and sends us on an emotional roller-coaster. 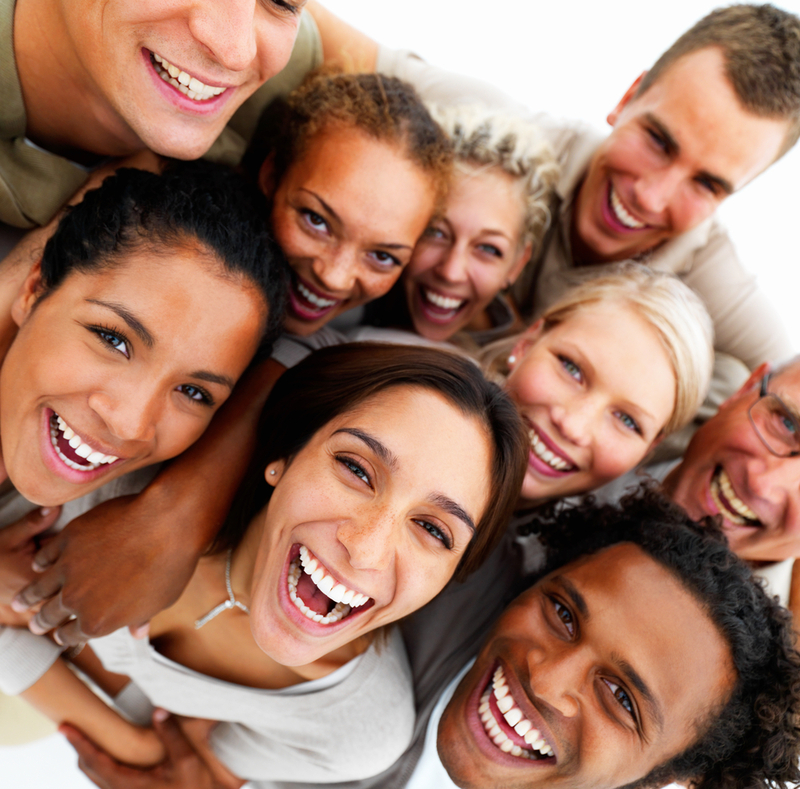 Having a great group of friends can help you experience great emotions on a regular basis. 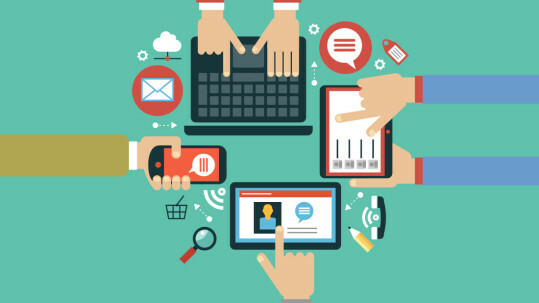 We are living in a digital age where people are slowly losing their ability to connect outside of a screen. Having a group of people that you can have real, in-person connection with will keep your social skills in top shape in this ever-changing digital world. Whether it is starting a business, losing weight, or implementing a new habit, friends are a great outlet for support and encouragement. Whatever you are looking to do, having a group of friends to support you will drastically change your level of drive and motivation towards what you are striving to do. Life’s experiences are taken to a new level when you experience them with people you care about. Whether it’s something as big as a trip or as small as a simple lunch, friends make life’s experiences that much better. The best investment you can make is into relationships. Invest in both friends you already have as well as new friends you haven’t met yet. It will make life that much more incredible to be living. 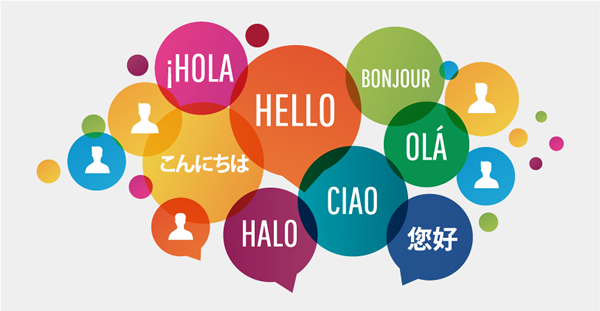 When you learn a new languages, you are making thousands of new connections in your brain. The more you practice, you build an insulator called Myelin that strengthens the connection. Learning a new language is one of the fastest ways to develop your brain no matter what age. When you learn a new language, you open yourself to interacting with a entirely new group of people – people you would have otherwise not been able to communicate with. Want to meet new people? Learn a new language! In today’s society, we are so limited to our cultures views, perspectives, and practices. When you learn a new language, you gain the ability to discover brand new cultures that we have never been exposed to. When you learn a new language, you instantly have an advantage when it comes to travel. You can have a more full, enriching experience because you are able to communicate with people in their countries language. It is never too late to learn a new language. Whether you commit a few hours a week, or do an immersion program in a foreign country, take time to invest in learning another language so you can add another layer to your life! Here at Multi-Languages, we are always trying to find new ways to take our Health to the next level. When we find new strategies we get so excited to share it with you! We have recently come across the amazing benefits of doing a smoothie reset day. You can join our Facebook Group or simply do it on your own. When you are constantly giving your body food, your body is forced to break down that food and convert it to energy. Doing a weekly smoothie day gives your body a chance to rest from having to break down foods and allows your metabolism to have a quick reset. When you only have liquids for the day, your body will naturally cleanse a lot of the built up toxins that come with the food you eat. In just one day, you can flush out a significant amount that your body otherwise wouldn’t have the chance to fully break down and digest properly. Not only is a smoothie day good for a metabolism reset, it is also a great mental reset. It clears your mind from the constant thought of “when’s the next meal?” Instead, it allows you to clear your mind and focus on the things you need to give energy to – all while having a delicious shake! The truth is, when we eat healthier, we tend to make healthier choices moving forward. By starting your week off with a smoothie reset day, you will make different decisions throughout the rest of the week in terms of what you put in your body and are more conscious of what will give you energy. There are many things that we can do to lead a healthy lifestyle. Deciding to incorporate a smoothie reset day into your lifestyle will add to your journey of living a healthy & energy rich life. Try it out for yourself and see the amazing benefits that doing a Reset day creates. We have all been taught to believe that Breakfast is the most important meal of the day. We have been told that to kick start our metabolism, we need to eat first thing in the morning. In the past few years, Intermittent Fasting has significantly grown in popularity. Here are some of the top benefits of IF. Intermittent fasting is one of the fasted ways to increase your level of fat burning. It creates key-tones in your body that act as a fat burning mechanism. IF also speeds up your metabolism so you burn more calories throughout the day. One of the benefits of Intermittent Fasting is since your body is using fat as energy, it is a longer burning process. 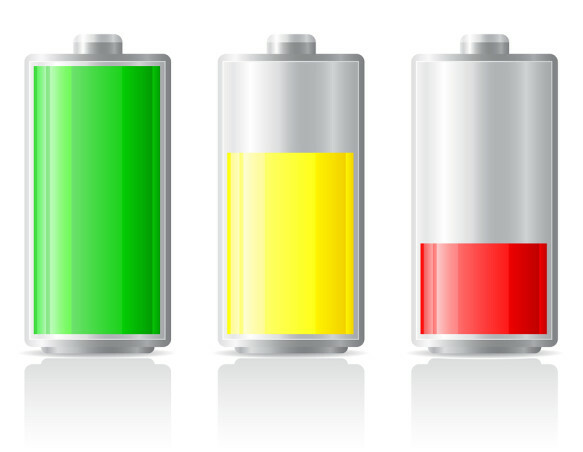 As a result, your energy levels last much longer than the quick spikes of energy from having a sugary snack. 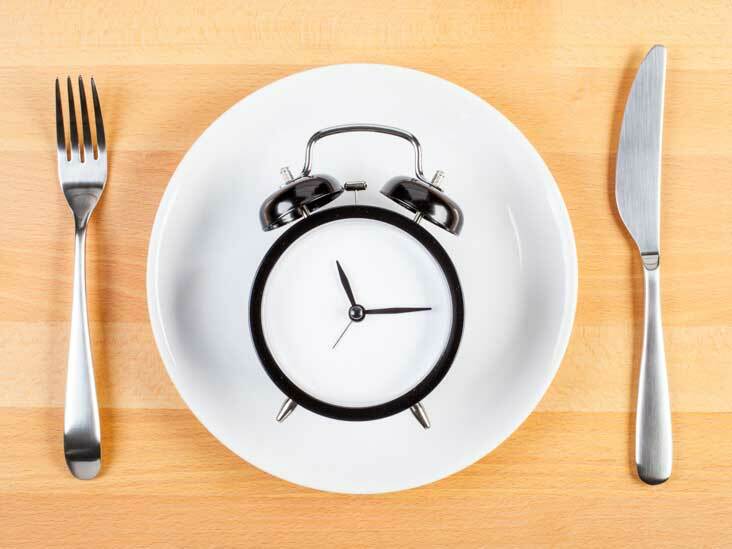 Intermittent Fasting has been proven to drastically reduce the chances of many illnesses such as cancer, diabetes, and heart disease. It has been shown to improve heart health and is directly linked to extended lifespan. Many studies have shown that implementing intermittent fasting can improve your brain health and longevity.The key tone bodies that are produces from fasting contribute to the overall health of your brain. There are countless benefits of Intermittent Fasting that all contribute to you living a full, energy rich life. Try it out for yourself and experience the instant energy boosting effects of IF! It has been proven by countless studies that incorporating regular exercise has been linked to improving longevity. If you want to have a full, long lasting life, start to make exercise a part of your weekly routine. Even if it is just 3 times a week, the important thing is that you get started. There is a different level of energy from people that take the lifestyle change of regular exercise. If you want to generate more energy for the things that matter such as family, friends, and experiencing life, incorporate exercise into your lifestyle – you will experience instant energy! It has been proven by countless studies that exercise is directly related to the reduction of sickness and disease in the body. Individuals that regularly physically engage their body are far more likely to live a ‘sickness free’ lifestyle. Want to say goodbye to sickness and disease? move your body! Exercise has a direct relation to your emotional well-being. If you’re feeling sad, frustrated, angry, try going for a 30 minute workout. You will see that the negative emotions subside almost immediately. Exercise regularly and you will see yourself feeling great instantly! There are few things that impact your overall health & well-being like regular exercise. If you want to live longer, have more energy, be ‘sickness free’, and feel happier, it’s time to incorporate exercise at least 3-4 times a week – It’s time to level up your life! Apple Cider Vinegar is one of the most popular types of vinegar to support a healthy life. It has been known to have many benefits including weight loss, reduced cholesterol, lower blood sugar level and improved metabolism. 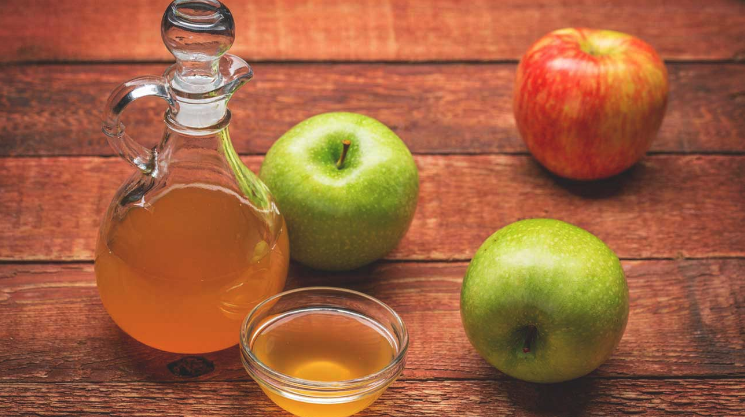 Here are some of the top benefits to ACV. Studies have shown that ACV has been proven to help you lose weight. It contributes to increasing satiety, helps you eat fewer calories and leads to significant weight loss over an extended period of time. If you want to lose weight, incorporate 1-2 tbsp of ACV every morning. By far, the most successful application of vinegar to date is in patients with type 2 diabetes. Everyone should benefit from keeping their blood sugar levels in the normal range. The most effective (and healthiest) way to do that is to avoid refined carbs and sugar, but apple cider vinegar can also have a powerful effect. Heart disease is currently the world’s most common cause of premature death. It is known that several biological factors are linked to either a decreased or increased risk of heart disease. ACV has been linked to reducing your risk of heart disease and promotes optimal heart health. Cancer is a terrible disease characterized by the uncontrolled growth of cells. There is a lot of studies that back up anti-cancer effects of apple cider vinegar. In fact, numerous studies have shown that various types of vinegar can kill cancer cells and shrink tumors. Even though ACV may not have a drastic change in the quality of your health, it will contribute to improving your overall health and well-being. Take 1-2 tbsp a day first thing in the morning to start experiencing some of the incredible health benefits of Apple Cider Vinegar. Everyone wants more time. Time to spend with our family, our friends, and doing the things we’re passionate about. 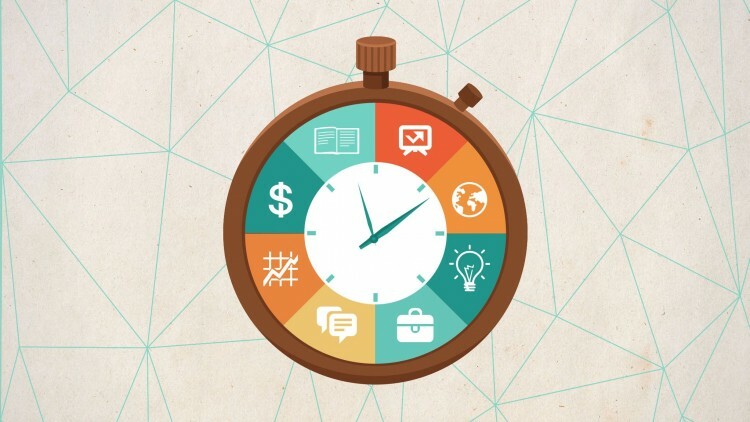 Efficiency is one way of adding minutes or hours to your day. Here are five of the top tips to boost your efficiency. It is no surprise that all of the most successful people in the world have absolute clarity over what they want and where they are going. Once you have clarity over what you want, you become more efficient in the work that you put in. Gain clarity and you will see your efficiency sky rocket. If you want to have more time, let go of the things you don’t absolutely have to do. Outsource the things you don’t have to do such as cutting the grass, cleaning your car, or shovelling the driveway. Free up your time to get more out of life and live on your terms. Nothing will level up your efficiency like committing to block time in your schedule. Build your calendar into half hour or hour time blocks and you will be blown away by the amount of time you’re letting slip by. Block your day from the time you wake up to the time you go to sleep so you never miss a beat. A lot of times, when we are in such a hurry to get everything done, we miss out on really enjoying our lives. Always remember to take time for yourself so that you can have the energy needed to create the things you want to create and live a life you’re excited about. If you want to be truly efficient, you have to have something you’re working towards. Set goals that push you to use your time to the limit of what’s possible. Set weekly, monthly, and yearly goals so that you can make sure you’re giving energy to the things that matter. Efficiency can mean the difference between not getting results in life and excelling in the things you want to achieve. 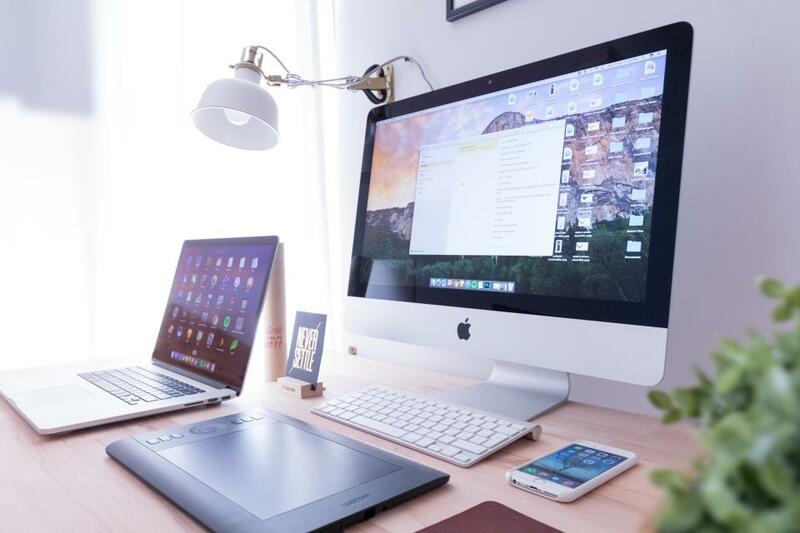 Put these different tools in place to boost your level of efficiency so that you can give time to the things that truly matter. To be able to create anything significant in this life, you need a signifiant amount of energy. Eat a clean diet, move your body daily, and have a regular sleep schedule so that you can have the energy needed to create amazing things in this life. All successful people have defined & have clarity over one thing – their Vision. To have any amount of success, you must have a vision of what you want in the future. You need to have clarity over what that vision is so that you can go forward and execute on it. So many people get caught up in the excitement of pursuing every single project, business, or idea that they never create anything worthwhile. 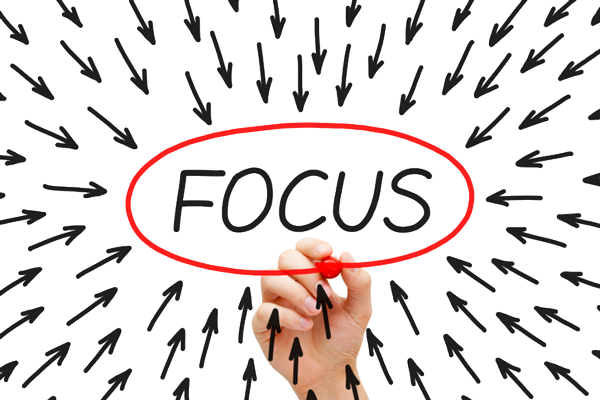 The most successful people know that to reach great heights, you need great focus. Laser in on what you want and go all in. The difference between someone who achieves what they want and someone who doesn’t is one thing – their ability to face failure. Failure is a part of success and your ability to face it and move on will determine your level of achievement. Without a strong purpose, all of these things won’t matter. Without a compelling Why to drive you forward, you will find it difficult to find the motivation to keep going. Define your Why and stay connected to that moving forward. We all have something we want to achieve. Take on these principles to the things you want to do and you will see yourself on the path to be alongside the worlds most successful. By writing your goals down, it forces you to have clarity on what you actually want. It makes you give time to thinking about what your goals are and defines the path on how to get there. Progress is one of the keys to living a happy life. If we aren’t progressing, it is hard to feel fulfilled. 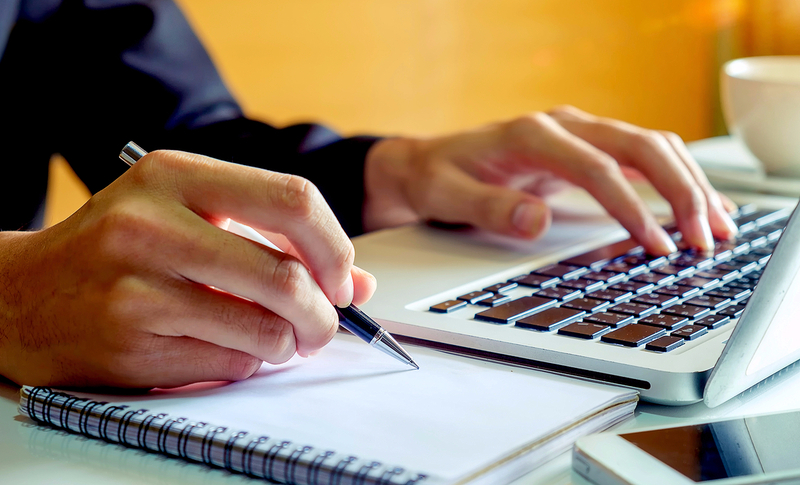 By writing your goals, you can now measure your progress and adjust the actions you take along the way. 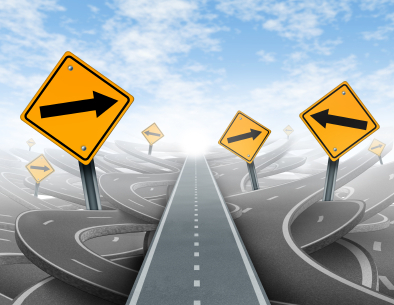 On the path to achieving a goal, we change our direction multiple times on the way. By having our goals written down, we have a clear picture of what we need to do to achieve the things we want. The biggest mistake people make when achieving a goal is that they lose sight of their plan on how to get there. 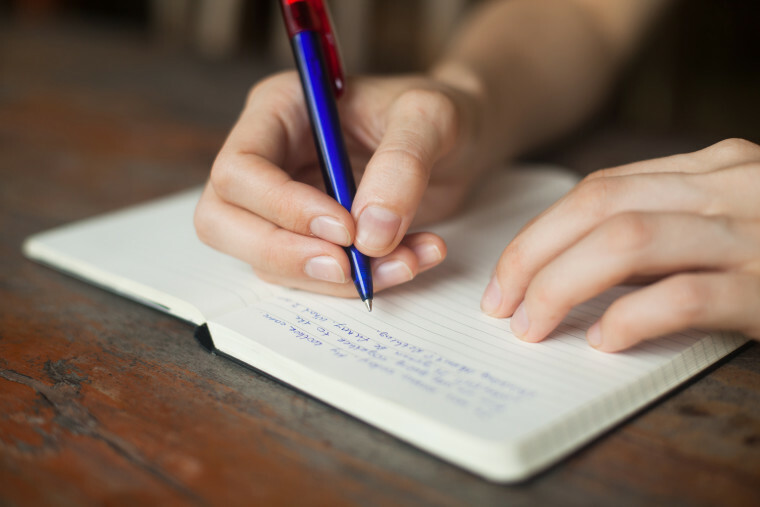 By writing down your goals, you get a better idea of what you need to do to achieve them. Setting a goal is not enough, you need to create a plan on how to achieve it. Whatever your aspirations are for your life, realize that writing down the things you want take your ability to achieve them to a new level. Write your goals, create a plan, adjust along the way, and don’t stop until you achieve everything you want. It has been proven that regular intake of Omega 3’s drastically improves brain health and brain performance. Omega 3’s can improve mental clarity, focus, and can boost your mental capacity. Omega 3’s have been shown to drastically reduce chances of life threatening illnesses such as heart disease & Cancer. Level up your healthy lifestyle by incorporating daily Omega 3’s and reduce your chances of disease. One of the foundations of health is good sleep. Regularly having Omega 3’s in your diet can improve your quality of sleep. This will help you recover quickly and take your health to the next level. On top of all of the amazing health benefits such as fighting disease, improved sleep, and brain health, Omega 3’s are directly related to clear and healthy skin! These are just a few of the amazing benefits of adopting an Omega 3 rich lifestyle. 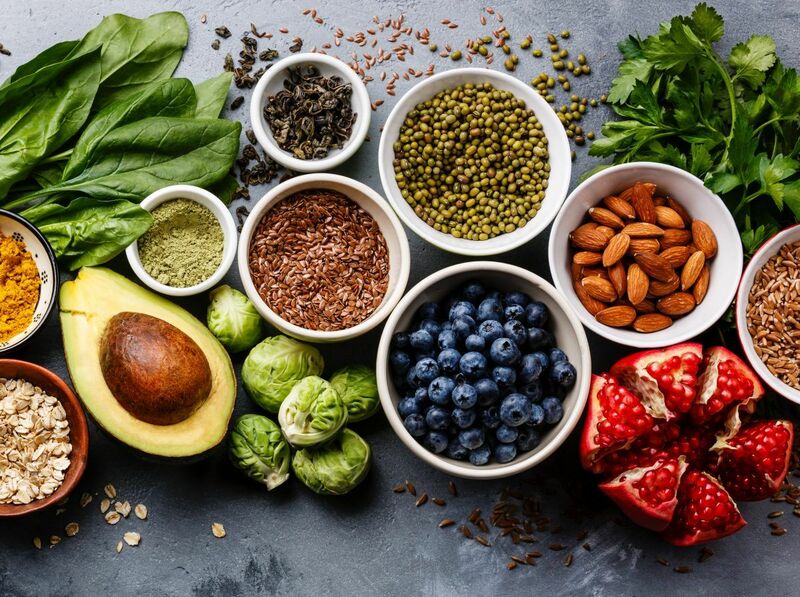 Whether you start taking an Omega 3 supplement, or have more Omega 3 rich foods, decide to take your health to the next level – you will see changes instantly! We are social beings. Relationships are the currency of life. But we are never formally taught how to form strong connections and thrive socially. The following strategies will make you a pro in social situations. When someone in a social setting is high energy, people are naturally drawn to that person. 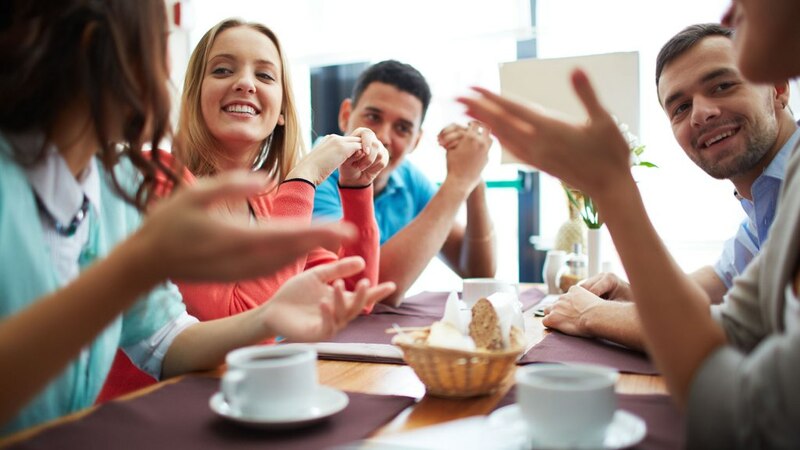 Next time you’re in a social setting, raise your energy by 10%. This may make you feel uncomfortable, but the more you do it, the more natural it will become. It will highlight more of your personality and make you instantly more likeable. No one wants to listen to the person that can’t stop talking. When you listen to others, it shows that you genuinely care. People will be more inclined to engage with you because they feel like you’re interested in what they have to say. The most important part when building rapport with someone or a group of people is finding common ground. Interests, passions, careers, or anything you can find in which you can relate to the person will build instant connection. Have you ever met someone who is everyone’s biggest Fan? They are instantly the life of any social situation. When you give someone a genuine compliment, they are naturally inclined to like you. Be everyone’s biggest fan – it makes any social setting feel great! The first step in mastering your mornings is mastering your sleep schedule. Make sure you are going to bed at the same time every night so that you are well rested for that early wake up time. Stick to your schedule so your body can get accustomed to this new lifestyle. Even more important than your morning ritual, a nightly ritual is critical in determining how well rested you are to start the next day. Do your best to stay away from screens 30 minutes before you plan on going to bed. By doing this, your body releases Melatonin which tells your body you are ready to go to bed. The snooze button can be a daily battle. Put your alarm out of reach, ideally in another room. This forces you to get up out of bed and start the process of your body waking up. If you have to, set multiple alarms so it doesn’t let you go back to sleep. Make sure that once you’re up, you define your next move. Turn on the lights and take your first action. This could be brushing your teeth, hoping in the shower, or getting to the kitchen to make breakfast. Whatever it is, make sure you decide on an action and stick to it every day. What are humans made to do? What is our purpose on this earth? What is it that we are destined to become? These are questions that have been debated time and time again, yet so many people are utterly lost when it comes to finding their passion. Here are some ways to discover your passion and purpose. What gets you excited when you do it? What is something that makes you light up like nothing else. What is something that just thinking about it, gets you excited? This is a great way to find things you’re passionate about. Passion creates excitement. By doing this, you are reverse engineering your passion. Think of the things that you would do for free. When you are passionate about something, it usually is something you would do for free. When you do something you love, you will not work a day in your life. If there is something you can’t stop talking about, odds are it is something you are passionate about. If it’s something that gets you excited to speak about and you can share it with absolutely anyone, that may be a key indicator of purpose and passion. Many people think that they have to pick one passion and once they do, that’s it. Finding your passion is like trying on different outfits. You have to try different things to see what you like. Go out and try different things, experience new paths, and constantly expose yourself to different areas of life. This will get you one step closer to finding your passion. How to Feel Great Instantly! Your body is directly connected to the way that you feel emotionally. If you’re feeling down, go to the gym, go for a walk, move your body and you will feel yourself feeling instantly better. Adopt a lifestyle where being active is part of your daily routine so you can feel great every day. All suffering comes from focusing on something in the past we can’t change or something in the future that hasn’t even happened. If you find yourself feeling off, take a deep breathe and get re-connected to the present moment. Environment is everything. You will become a product of the environment you put yourself in. Surround yourself with people that make you feel great and put yourself in situations that allow you to show up at your best. It is impossible to feel fearful and grateful simultaneously. If you find yourself feeling down, take 3 minutes and focus on 3 things you’re grateful for. No matter how simple they may be – it will completely change the way you feel. Your body needs good fats to be able to properly absorb certain key vitamins. Fats such as Omega-3 and Omega-6 are critical in maintaining and leading a healthy lifestyle. But you have to be careful when choosing your fats because some are not as good for you as others. Some Good Fats include Salmon, Avocado, Coconut Oil, Flax Seeds, Almonds, and Walnuts. Incorporating healthy fats into your diet is a great way of keeping your body running at an optimal level. These healthy fats can be found in Fish, Avocado, Nuts, Seeds, and Good Oils. Many times, people use the ready, fire, aim method to achieve their goals. This can work in some cases but for the most part, there is great power in establishing a plan before we kick off 2018! Finding someone that will hold you accountable to achieving the things you want is one of the most powerful tools there is. Find someone that will push you and encourage you to constantly get to the next level. It is extremely valuable to take a day to map out exactly how you will get to where you want to go. Plan out the steps you need to take to achieve the things you want so when January 1st hits, you’re ready! Get Ready to Mess Up! Failure is a necessary part of any achievement. When you set out to accomplish anything new, failure is an inevitable part of the process. Find the lesson in every failure you have and become stronger with every setback you face. Visualize where you want to be in a year from now. Once you have a clear picture of what that looks like, you can now work backwards from that point. Picture your ideal year, now map out what you need to do to make it happen. People’s biggest problem is they try and focus on everything at once and easily overwhelm themselves. Focus on each day and get present with what you need to do in every moment. Days turn to weeks, weeks turn to months, and months will become a year faster than expected. “If you haven’t started on 2018, you’re behind” Where do goals come from? And how do we actually make them a reality? Achievement takes many different factors. But one of the most important pieces of achieving your goals is through visualization. Goals can only exist through having a vision for the future. To be able to see the future better than the present, and to create a plan to make it real, takes vision. What vision do you have for 2018? What do you want to create in the year to come? Does it seem a bit too far out of reach? Good! The sole purpose of goals is not about the actual achievement of it, but rather growing into the kind of person who can. It’s the timeless saying: “It’s the journey, not the destination”. For 2018, set some goals so far outside your reach you need to significantly grow to achieve them. This is your year, this is your time – make this year your best year ever! So many of us try and push through the work we are doing and end up feel exhausted. Take small planned breaks throughout your work day and you will feel more energized when you’re finished. Learning to calm your mind is one of the best ways to feel fully recharged. Even if it is just for 5-10 minutes a day, take time to quiet your mind and connect with the present moment. If we are drowning ourselves in work, it is hard to feel energized. Make time for friends and family so that you can have time not thinking about all of the things you need to do. Go and have fun! If you feel yourself stuck in a pattern of never being able to recharge, try taking up something new. It can be a sport, an art, or something that is outside of your daily routine. This will allow you to forget about the stuff that drains you and focus on your new found passion. We all need it. Some more than others but everyone needs a little time to themselves. Take some time throughout the week to connect with yourself and reflect. Try it for a week and you will see the impact it will have. Everyone has experienced feeling drained. Many times, it is hard to get out of it. If you implement these strategies, you will find yourself feeling recharged and ready to take on the day! What you consistently think is what you will become. Your thoughts will create your reality. You want to have a more positive life? Start with conditioning yourself to have more positive thoughts. Positivity, like most other things, is a habit. You are what you repeatedly do. 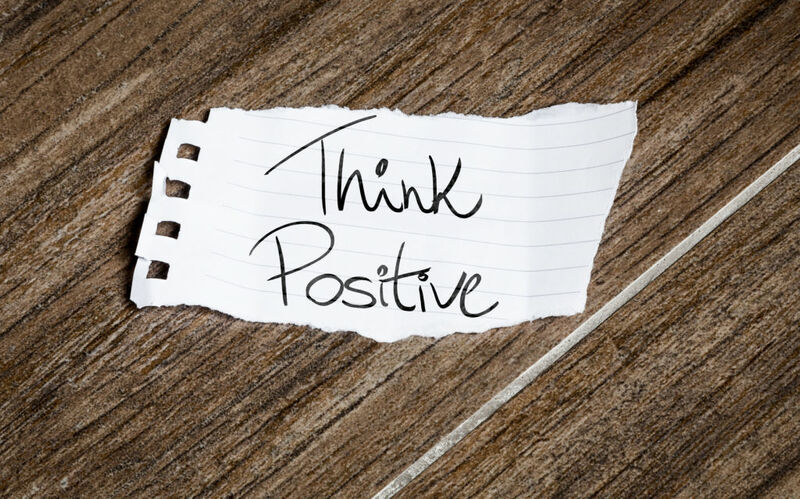 Practice regular acts of positivity throughout your day so that you can become more and more effortless with being positive. Have you ever been around someone that was so happy it was almost contagious? That’s because it is. Happiness and positivity are actually contagious and can directly affect the people around you. Surround yourself with positive people and you will see yourself becoming instantly more positive. The more positive you become, the better things get. It’s just the truth. You will see positivity ripple to the people around you, your relationships, your health, and even your career. Positivity really does have the best side effects! The most important belief you can have when facing challenges is “this too shall pass” For the most part, the adversity is only temporary. When you know that this won’t last forever – it no longer has power over you. Albert Einstein said “you can’t solve a problem with the same level of thinking that created it.” If you are feeling stuck, change your thinking to take on a different perspective. Overworking ourselves is the quickest way to slow down our progress. Take a step back and breathe. This way, you’ll be more relaxed and refreshed to take adversity head on. With every setback comes an opportunity to grow. Find what you can learn from each challenge you face so that you can grow stronger. Plain and simple, Challenges = Growth. No matter what challenge you are currently facing, I can almost guarantee that someone else has had a similar obstacle to overcome. Find people who have overcome the same challenge as you are currently facing and model what they did to breakthrough. Whatever it is that you’re going through, believe that it too shall pass. Change your thinking and find the growth in every challenge you face. Once you do that, you will breakthrough all of the challenges you face. For the most part, when we are feeling off track, it is because we don’t have a clear plan of action. Create an in depth plan for what you want to do and stick to it! Get in the habit of following a plan and you will see results in no time. When setting out to achieve a goal, we often times forget to celebrate our victories. No matter how small, take time to celebrate how far you have come and the accomplishments you have been able to create. Working hard is great and a necessary part of any goal, but when we don’t take breaks, we tend to burn out. You will double your productivity if you train yourself to take small breaks throughout your day to recharge. Take a breather, I promise you will get more done. Some goals you have may seem next to impossible to complete. A great way to keep consistent is to set milestones for your progression. When you break down a one year goal into 6 milestones, it becomes a lot more clear on how to get there. We will all experience times where we feel like we have strayed away from our intended path. Put these strategies into play so when it does happen you can just take a deep breath and get re-aligned with where you’re going. Whether it’s learning to play an instrument, or taking up a creative art, progress is based on a fundamental principles that can be universally applied. 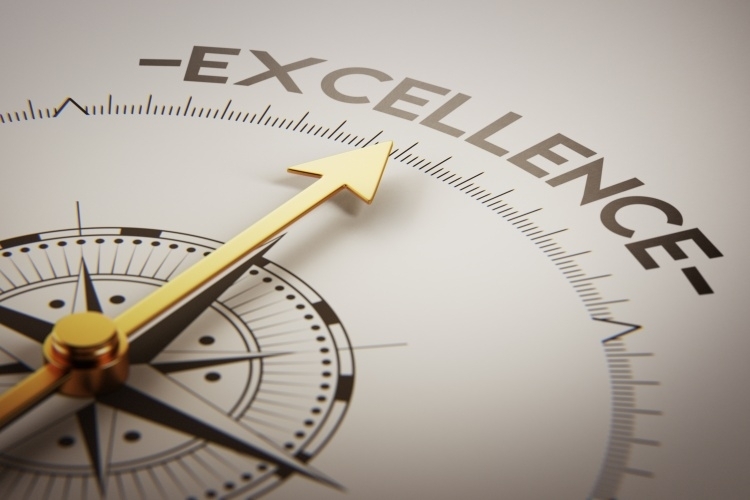 To truly excel, we must put into practice certain strategies that will allow us to grow at our peak potential. People tend to say that ‘practice makes perfect’ but really, practice makes permanent. Whatever you do repeatedly will ultimately become a habit. Engage in proper practice so that you can progress, not just get good at staying in the same place. No matter what you are trying to get better at, THE best strategy is to get someone who has already been where you want to go and have them train you. They have the experience that you can’t learn from a book on how to get better and will help you cut your learning curve in half. Many people think that one over the top workout is going to get them fit when really, it won’t. Consistency is so much more important than intensity when it comes to growing a new skill. Commit a set amount of time every single day to the thing you are striving to get better. Implement it into your daily life and you will notice results almost instantly! If you want to get good at something, it is a must that you surround yourself with people that are also along the same path. Surround yourself with both people that are on your same level to bounce ideas off of, as well as people that are better than you that will help to raise you up. If you don’t enjoy the learning process, you will never stay with it until mastery. Learn to love the parts of the journey that are hard and appreciate the progress you have made so far. Reward yourself at the milestones you set and make sure to keep your eye on the vision of where you want this to go. To be happy, we must feel that we are progressing in some area of our lives. 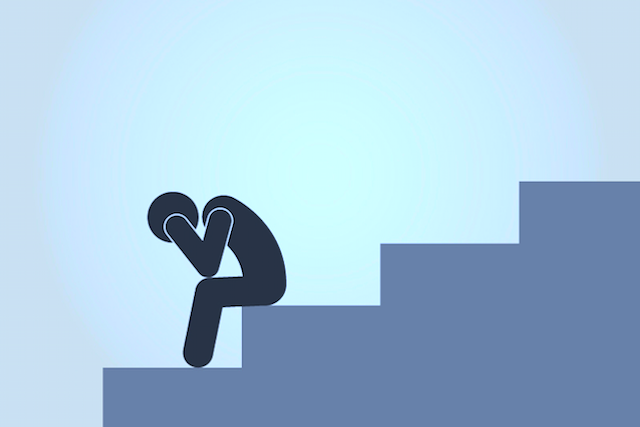 If you feel yourself being in a slump, find an area of your life where you can grow and act on it. Take a fitness class, read a book, or do something that will move you forward. Your environment is everything. To be truly happy, you have to surround yourself with an environment that will promote good feelings. Join groups, go to events, and constantly put yourself out there to be able to surround yourself with great energy. When we are feeling a lack of joy, a lot of times it is because we feel there is a lack of something in our lives. When we appreciate all of the amazing things we have, it changes our perspective from one of expectation to one of appreciation. It is impossible to have a feeling of lack when in a state of gratitude. It is impossible to feel fearful, angry, or any other negative emotion when being grateful. Get in the habit of practicing gratitude every morning so that you can start your day off on the right foot. 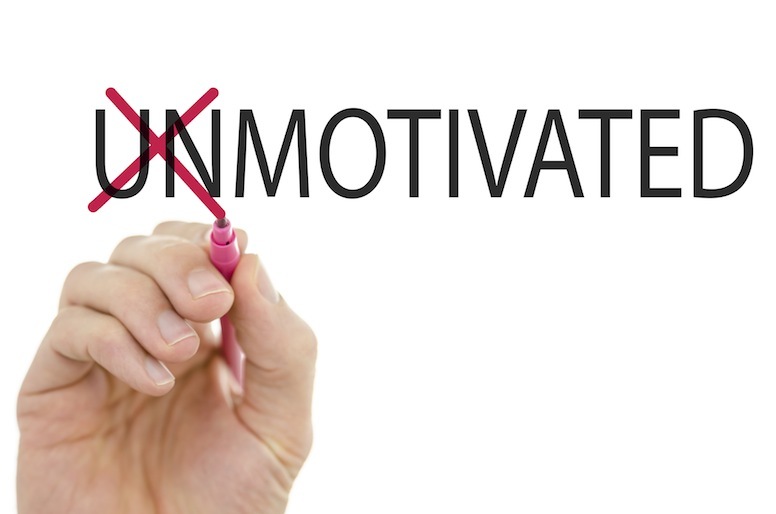 Having nothing to move towards is one of the biggest reasons for lack of motivation. Having a purpose helps to drive you towards achieving the things you want. Happiness is rooted in progress and the key to progress is having a purpose. Get a strong enough why and go after it. Happiness isn’t a science, it’s an art. 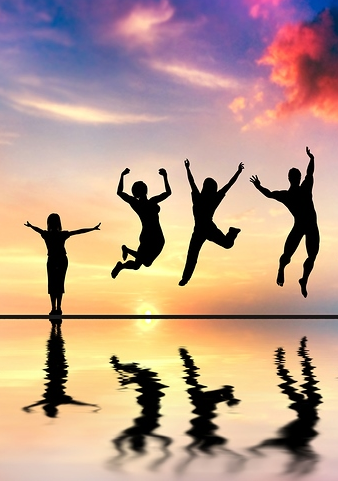 Implement these 5 strategies to instantly feel more energized and joyful today! Sleep is arguably the most important factor in having energy for the following day. Ideally, you want to aim between 7-8 hours a night consistently. That being said, everyone is different and has different needs so do what works best for you. Get Out of Bed… NOW! The one thing that will drain your energy in the morning is staying in bed after initially waking up. Put your alarm clock across the room so you are forced to stand up and start your day. Get up and get moving! Exercise is the easiest way to start feeling more energized right away. Make sure that your activity levels aren’t too high because this can result in fatigue. A quick jog or walk in the morning will do the trick! You become the sum of the environment you are in. If you get around high energy people, places, or events, you will become high energy. Schedule out time to go to the gym, hang out with motivated people, or join a meet-up group so that you can keep your level of energy consistent. If you feel yourself powering down but have only conquered half the day, stand up and get a quick 5 minute stretch. By doing this, you can oxygenate your body and get ready to crush the rest of the day! Have you ever felt like your day just needed a few more hours? Like you ran out of time but still had a lot more to do? Install these productivity hacks into your daily life to be able to take back control of your day. What you do in the morning sets up the rest of your day. Set a consistent wake up time, drink water, meditate, journal, or do anything that will relax and focus your mind for the day to come. It doesn’t matter whether you are driving 20 minutes or 2 hours a day for work. Use that time to feed your mind, listen to audio books, or do something that you can cross off of your list for that day. A lot of times we get overwhelmed with all of the things we have to get done because it feels like a never ending list. Once you map out a list of all of the important things you need to get done, completing your to-do’s seems a lot more doable. 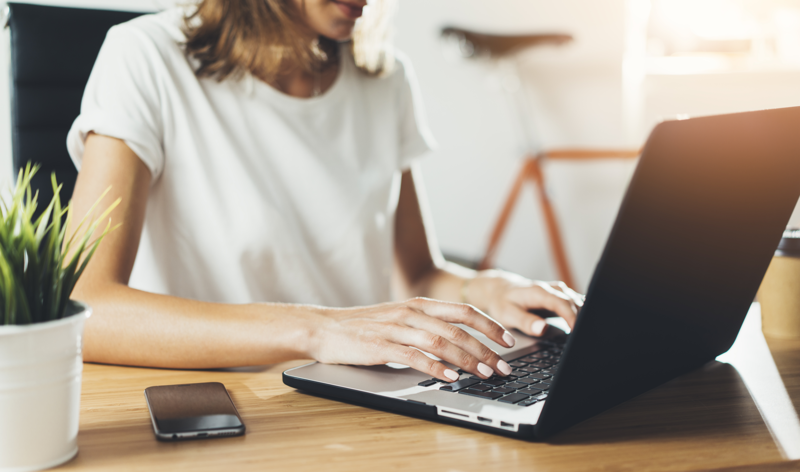 This may seem counterintuitive in terms of getting all of your items done, but taking a break and starting fresh is one of the quickest ways to become more focused, gain more energy, and crush your list of tasks! Having a structured day is one of the easiest ways to get more done and to feel more productive. Map out your day into hourly blocks so that you can keep track of all of the things you need to get done. We all want more time. More time to spend with our family, our friends, and doing the things that make us happy. By putting these practices into play, you’ll be able to have more time to do the things that are important to you. Every setback you face is an opportunity to learn something new. It is a chance to grow past the failures you face and become better from them. Every time you fail, look for what there is to learn and how you can grow from it. The road to success has many failures along the way. Pushing through each and every one of them creates a resiliency to keep moving forward. It creates momentum and makes you truly unshakable. If it doesn’t challenge you, it won’t change you. If you want to transform any area of your life, you have to be willing and even enthusiastic about failure. Face the challenges that life throws at you to create change within yourself. If you were given everything you ever wanted tomorrow, you may be temporarily happy, but it wouldn’t last. Part of what makes success feel so great is the hard work you put into it. Fail enthusiastically and keep striving so that success will feel even more incredible. For us to be happy, we need to feel like we are progressing in some area of our lives. When we fail and keep going, we are in a constant state of progression. No matter how many times you fall, if you constantly keep moving forward, you will feel happier. We all want more out of life. We all want to achieve the dreams we’ve had for so long. We all want to grow. To do all of these things, we must fail. It’s not a option for success, it’s a mandatory requirement. Fail forward, take the leap of faith, and know that it will all work out in your favour if you just keep going. Say Goodbye to Getting Sick! Are there some days that you feel under the weather? Do you catch a cold every so often? Are you part of the group that is affected by ‘flu season’? If you are then this article is for you. Ideally you want to aim for your plate being 70% greens. Eat avocado, spinach, broccoli and other alkaline, water rich foods. Incorporate things such as fruits, nuts and seeds as well to have a balanced source of protein, carbs, and fats. Alchohol creates acidity in the body, which then lowers your bodies defences against illness. You don’t need to eliminate it, (unless you are currently ill) just reduce your current intake level to a minimum. A glass of wine or two on the weekend won’t hurt! Ditch the sugary juice, fizzling pop, and energy drinks and replace them with water. Since the majority of our bodies are made up of water, we need a significant amount to stay hydrated and healthy. For a healthy adult, aim for half your bodyweight in ounces. Exercise is one of the best ways to keep your body in top health. Illness cannot exist in someone that is consistently engaging their body physically. For at least 20 minutes a day, find a way to move your body and get the blood flowing throughout your system. Healthy living isn’t a ’10 day challenge’, it’s a lifestyle. It’s a decision to want to feel better every single day. Commit to adopting great nutritional and physical habits into your daily routine so that you can see some real results. Whether you’re currently ill or you consider yourself healthy, these strategies can benefit anyone who is looking to take their health to the next level. Apply one or apply them all to feel amazing, heal your body, and upgrade your health. People are naturally drawn to someone who listens more than they speak. Listen with the intent to understand, not just reply. Another key to charisma is to make people feel like what they’re saying matters. Make them feel like you’re fully attentive to what they’re saying. There is nothing more attractive than someone who is fully living in the present moment. Make eye contact, ditch the phone, and be in the moment with the people you’re with. One of the best ways to have people drawn to you is to be the champion of everyone around you. Compliment, be kind, and show people you care about them. Listen to the people in your life, make them feel heard, be present, and be the champion of everyone’s story. Waking up, going to work, and going through the same routine every day can make us feel a lack of excitement in our lives. 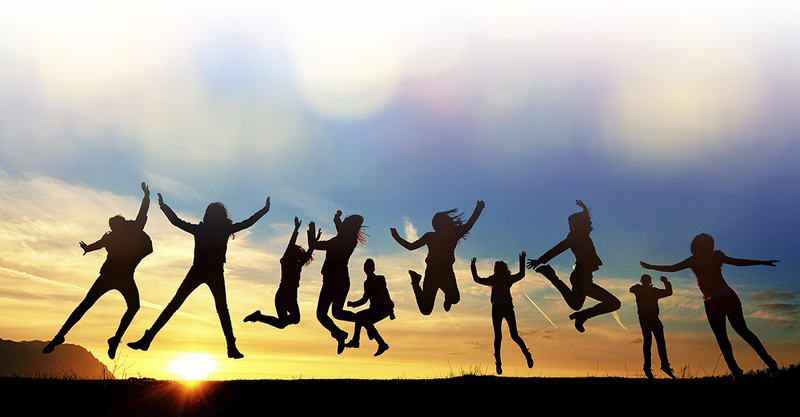 Here are some easy ways to up the excitement and constantly feel energized in our daily lives. What you do in the morning has an influence on how the rest of your day will be. Set up a morning routine that energizes you to win the day. Going for a run, meditating, or visualization will make for a morning filled with excitement. A lot of times we feel a lack of excitement because we take the same route to work, do the same workout and follow the same routine every day. Take a different route to work, join a new fitness class, and change the way you do day to day activities to feel high energy. It’s hard to feel excited if we keep doing what we have always done. Take up a new sport, go to a local event, start a new book, or do something that you have never done. This will make you feel like your life is taking a new direction and will make you feel amazing. Curiosity is one of the quickest ways to spark excitement in your life. Question yourself as to why you are doing the things you are doing. Get curious, question yourself, and if something isn’t making you feel excited, change the pattern to one that will. We all have patterns. We all have things that we do every single day that don’t inspire us to feel great. If there is something that you do every day that doesn’t excite you, change it to a pattern that will. If your workout doesn’t excite you, try a new fitness plan. Change your patterns, change your life. At times, we all feel stuck. We all feel like we are reliving the same day every day and it can get frustrating. Change the patterns, get curious, try something new, and find a different way to do things so that you can experience true excitement every single day. So many relationships never surpass the surface level conversations that so many of us are accustomed to. If you want to connect on a deeper level, ditch the small talk and go deep. Have more conversations about life and what is important to the other person so you can get to know them on a deeper level. curiosity is the one thing that creates connected relationships that last. Get curious about what they like, what they’re passionate about, what there favourite food is, and anything else that is important to them. This allows you to get to know them on a much deeper level resulting in a much more meaningful relationship. All people are drastically different. But odds are that there are a few places where you can find common ground with the other person. Find common interests, hobbies, passions, or anything that can make you more relatable. Commonality builds rapport, and rapport leads to lasting relationships. Everyone loves the person that supports everyone around them. Go to your friends event that means a lot to them, get excited about their new idea, support them in their new fitness goals, and be their biggest fan in whatever they do. Relationships are not a place to take, they are a place to give. Give your time, give your energy, and give your presence so that you’re their physically and emotionally there for whatever they need. When you give without expecting to receive, you receive more than you can ever imagine. We all strive to have more meaningful connections with the people around us. Relationships are what make life worth while. Practice these few principles to take your relationships to the next level and to live a truly fulfilled life. January is already coming to a close and you have to ask yourself, ‘am I as motivated to crush my goals as I was on New Years day?’ if the answer is no, it’s okay. It happens to all of us. The real question is what can we do? Here are a few tips for getting back on track! The problem that a lot of people have is that they think they should be at a certain point by now. They feel like they failed because they haven’t made enough progress. The key is to realize that every day is a fresh start. Every day in an opportunity to change. Start fresh and push forward. One of the best ways to stay on track with your goals is to have an accountability partner. This can be a friend, family member, or even a colleague at work. Having someone that is supporting you with your goals will help you drastically build momentum towards their achievement. Failure is a essential part of any achievement. See your setbacks as opportunities to learn and to grow so that you can come back stronger. Take every failure as a lesson and as a chance to get better. Go out and fail enthusiastically! It is great to look forward onto the future but it is just as valuable to look back and see how far you’ve come. Celebrate the wins you have had and learn from all of the growth you have experienced. Remember the lessons and move forward with a new perspective. When you don’t feel motivated to keep going, it’s probably because you have lost sight of your vision. Ask yourself why and look towards what is truly important. Reconnect with what you want and get re-inspired by the excitement of your goals coming to life. Many times people set these outrageous goals and don’t give themselves the gift of being able to have small wins. Set small goals that will put you on path to achieving your ultimate vision. Having these small wins motivate you to keep going until you achieve your end goal. Every day is a fresh start. Take advantage of today and move towards the things that you want. Surround yourself with people that will support you in your goals. Reconnect with your vision and take action until you have created the life that you dream of living. Why Bounce on a Rebounder? Studies have shown that jumping on a rebounder (mini-trampoline) can have multiple health benefits and can be a great start to your day. Get the blood circulating, wake up your metabolism, and set your day up to win – let’s get jumping! On top of all of these amazing benefits, it’s easy to get started! All you need to do is purchase a rebounder and start jumping for 15 minutes or more a day. Start at your own pace and only do as much as you feel your body can support. It is recommended to do it in the morning so that you have an abundance of energy to have a great day! Ps. If you want to take your rebounding to another level, use your jump time to think of 5 to 10 things you’re grateful for. This will put you in a state where fear nor doubt can exist and will make your jump time fly by! New Year, New Me... Right? Just because you missed one day of working out or one morning of waking up early, doesn’t mean your New Years Resolution is a failure. Failure is a necessary part in the achievement of any goal. Embrace failure and keep pushing forward through the setbacks. Many people see the short term gain of their New Years goal instead of the long term result. When we focus on instant gratification, it often leads to procrastination and frustration. Set your sights on your long term vision and get inspired by the big picture. Who you surround yourself with is who you will become. Build a team of people that will not only support you in your goals, but will also push you to get back on track. Having a group of people that holds you to high standards of accountability is one of the key pieces of achievement. Rome wasn’t built in a day. Neither was any substantial amount of success. Great things take time. Great things also take small consistent actions done over an extended period of time. Daily actions done with enough consistency will build momentum and drive you towards your goals. Celebrating your wins, no matter how small, builds the momentum you need to breakthrough. When we celebrate our victories, we get a little boost of dopamine (the ‘feel good’ chemical) which tells our brains that we are on the right track. To experience lasting achievement, we must learn to enjoy the journey. At times, people forget to focus on what they can enjoy and eventually lose momentum. Look for the things you can enjoy and focus on all of the things you can appreciate about your journey. Realize that whatever you wish to achieve in 2017 is within reach. Everything you want is out there for you to take, all it takes is action. Push forward towards the things that you want and don’t settle by being a part of the 92%. Be a part of the 8% who don’t make quitting an option and make success the only option. No matter what it is, keep taking steps forward. To find what you were made to do, you need to experience what you don’t like. Don’t over think it, just keep going. This will help you figure out what you don’t like as well as what you’re truly passionate about. A goal cannot be achieved without the vision of its completion. Reverse engineer what you want and visualize the end result. By doing this, you gain major clarity on where you want to go and what has to happen for you to get there. When we fall into a certain pattern, a lot of times we tend to forget why we are doing it in the first place. When you feel like you don’t know where to go, refocus and try to do something different. This gets you out of your head and allows you to remember what’s important. Everyone was put on this earth for a reason. It’s time to define what that reason is for you. It’s time to realize your purpose and go all in on it. It’s time to live your life to its full potential. ‘Just 5 more minutes.’ We are all guilty of using this or a variation of this in regards to waking up. We all have had nights where we can’t fall asleep or mornings where waking up was the last thing on our mind. Sleep is one of the most important factors of leading a healthy lifestyle. That being said, let’s look at some ways to take our sleep from ‘okay’ to AMAZING! As far as great sleep goes, consistency is key. Ideally, you want to be waking up and going to bed at the same times every day. This allows your body to adapt to certain times and makes it easier to go to bed and wake up at the times you’ve set for yourself. Even the slightest bit of light filtering in from outside can affect the quality of your sleep and your ability to fall asleep. Do yourself a favour and buy yourself blackout curtains. Sleeping in full darkness allows you to fall asleep a lot faster and stay asleep throughout the night. This one is critical. The light that comes off phone screens can actually stop melatonin production in the body – an essential part of your body’s recovery process. Make sure to be technology free for at least 1 hour before going to bed. By doing this, the brain tells the body that it is ready to go to bed and will allow for proper recovery during sleep. If you’re going to have some form of caffeine, make sure it is before noon. Having caffeine in the evening will not allow your body to power down into a relaxing state. Make it a point to only drink water in the evening to get your body and mind ready to fall into a deep sleep. It’s simple, you can’t hit snooze if you can’t reach your alarm clock. Whether it’s your phone, or an actual alarm, put it on the other side of the room. This will make you get up first thing and start to oxygenate your whole body. Movement is one of the fastest ways to wake yourself up in the morning. Exercise in the morning is one of the most effective ways to wake you up both physically and mentally. But even if you’re working out in the evening, exercise has been proven to relax both the mind and the body. Studies have been done that show people that work out on a regular basis experience overall better sleep. So get out there and get active! Another major key to have great sleep is having a great morning routine. Whether it’s working out, reading, going for a walk, or even having a cold shower, do something in the morning that is going to get you out of the sleep state into one that engages your mind, your body, or both. Going to sleep on a full stomach can make it hard on your body to shift from being alert to being relaxed. Make sure you eat a light dinner so that you are able to properly digest before heading to bed. This will not only help you sleep better, it can promote weight loss too! Sleep is one of the most essential parts of leading a healthy lifestyle. It will not only make you feel better physically, it will also make you feel mentally and emotionally stronger. It’s easy – get great sleep to cultivate a great life! There will always be times that do not go as planned. There will always be situations that knock you down. True strength comes from standing in front of adversity and boldly moving forward. Here are some ways to overcome and triumph over disaster. When something terrible happens, we tend to blame external circumstances out of our control. Shift your focus to what you CAN change, who you CAN affect and how you need to show up to impact the situation in a positive way. The way you feel is largely determined by your focus. And your focus is directed by questions. Ask yourself questions that will give you better answers. Instead of ‘why did this happen to me?’ ask ‘what can this teach me moving forward?’ Better questions allow you to give situations better meanings. So much of human suffering comes from focusing on the past or focusing on the future. The only thing that matters is what is happening right now. This moment is the only thing that you can affect. Make the decision to get present and focus on where you are now and what you need to do to move past it. Fear cannot exist when you are in a state of gratitude. It allows you to be fully engaged with the present moment and forget about everything that might be going wrong. When disaster strikes, put yourself in a state of gratitude to eliminate the worry and connect with what’s really important. The power of love is the antidote to fear, it is the medicine of hate, it is the cure for war, and it is the one thing that can overpower any negative feeling and change it to one of abundance. Disaster will happen, but with love we can overcome it. Disaster will happen – it’s inevitable. That is something we can’t change. But what we CAN change is ourselves. We have to power to change our perspective, live in the moment and come from a place of love so we can change the story to one of positivity and power. 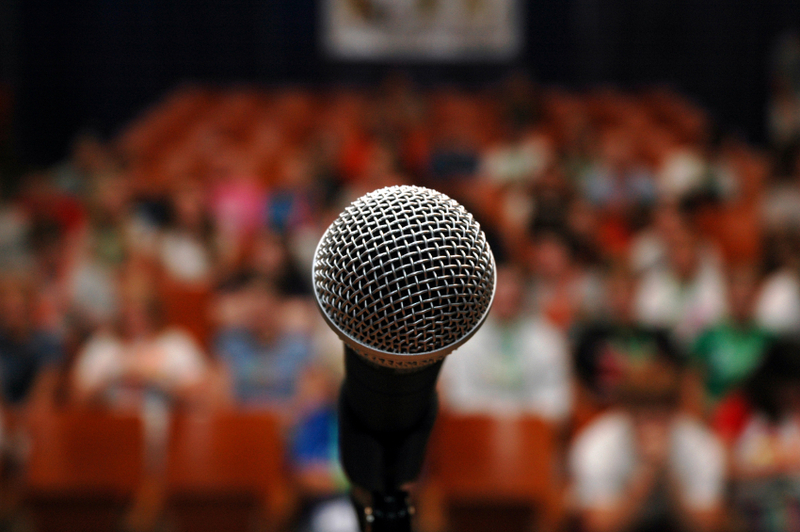 Public speaking is something that a lot of people fear; sometimes even more than death! But it is such an important tool that people forget to practice. 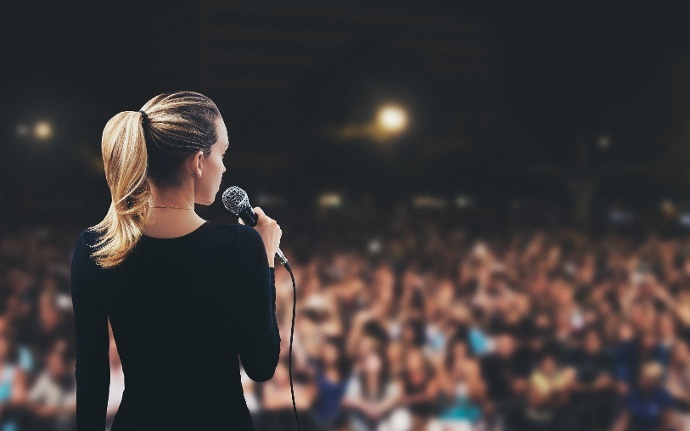 Learning how to be a great public speaker can raise your confidence and have people be naturally drawn to you. The following are just a few tips that you can use to take your speaking skills to the next level! The main reason people get nervous in front of an audience is because they are focusing on themselves. The quickest way to crush the nerves is by fully focusing on your audience. If you are constantly thinking about them, you have no time to think about how you’re doing. Stories connect you with your audience. Telling stories is the number one way to engage any audience you’re speaking to. Tell funny, sad, emotional, or intense stories so that you can have your audience on the edge of their seats. People want you to get personal. Tell a personal story that shows people into your life. To really connect with an audience, people have to get to know you. And the quickest way to do that is to let them in through a personal story. When the speaker is having a great time, odds are the audience is also having a good time. Laugh at your own jokes, smile to the people watching, and have fun with it! The most memorable speakers are the ones that are able to have fun on stage. The way you use your body accounts for 55% of your communication. That being said, move around the stage, use your gestures, use various facial expressions, and use your body to showcase the stories you tell. Make it fun, make it engaging, and get into it! Learning to become a powerful speaker is one of the best ways to improve your confidence, relationships, and overall communication skills. 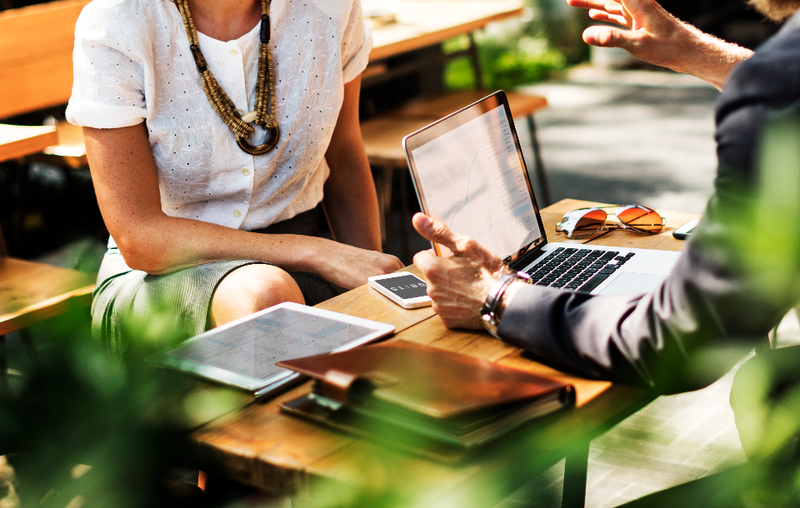 Apply these tools to your next presentation or even when you’re with someone 1-on-1 to take your speaking and communication skills to the next level. Few people are as confident as they would ultimately like to be. Even if you don’t feel like confidence is your strong suit, there are certain things that you can do to improve. Confidence is a skill like any other and to make it stronger, you must practice it. Many times people get caught up in focusing on the little things that don’t really matter. This tends to overwhelm you and gets you distracted from what is really important. Let go of the little things and let yourself get inspired by the big picture. So many people get caught up in the process and forget about the purpose. Stop getting caught up in the motions of what you’re doing day to day and get aligned with the purpose of your actions. Have a vision of where you want to go and let that fuel your confidence. A lack of confidence is directly related to a lack of control. If you focus on what you can’t control, you will be in a constant state of fear. Confidence comes when you focus on what you can control and take action towards changing it for the better. Whether you are speaking in front of a group of people or just trying to have the courage to talk to someone, focusing on yourself will keep you from being fully confident. Let go of what other’s may think of you and focus on what they need. Confidence is a skill of growth. To become more confident, you need to constantly grow. Always push yourself to do the things you fear so that you can learn to be comfortable with being uncomfortable. You become who you surround yourself with. If you want to become more confident, surround yourself with confident people. Confidence is something that is contagious so make sure to surround yourself with it as much as possible. People are naturally drawn to those that are able to be who they truly are – it is the ultimate sign of confidence. Being yourself is the best way to show the people around you that you are confident in the person that you are. Confidence comes from what you are willing to do. It is a skill like anything else and it needs to be developed. Put these tools into action so that you can become more confident and inspire others to do the same. Great friends will hold you to your word. If you say you are going to lose weight, be ready for them to constantly check in with you. They hold you to the standards that you set for yourself. A great peer group is one of the best resources for achieving any goal. When you are dealing with a situation, sometimes it’s good to get a second, third, or even forth opinion on how to handle it. A great friend group will always be there for you, no matter what. They are the greatest support system you could ever have. The people you surround yourself with affect every aspect of your life. The friends you pick are critical in the development and growth. They can either influence you to do good or bad so make sure you pick friends that are going to lift you up. For the most part, good friends are going to want what is best for you. If you desire a healthier lifestyle, they will support you through it every step of the way. And if you influence them to take on the healthy lifestyle too, the transition will be seamless. Without growth, there is no life. Good friends push you to constantly be better than you were before. At times, they believe in you more than you believe in yourself. They help you see what you’re not seeing and guide you through those times where you’ve felt lost. Whether they are in the same city or in a different country, great friends are always there for you when you need them. If you are going through a hard time, you can always count on them to lift your spirits and support you through it all. Having a great friend group will make life much more enjoyable. They push us to be better, hold us accountable, and help us through everything life throws our way. Great friends are hard to find, but once we do, our lives will never be the same again. It sounds crazy, I know, but studies show that doodling will actually improve your mental focus and open your mind to new ideas. Stuck in a creative rut? Doodle away! It’s easy to fall into the same old pattern. Creativity is at an all time high when we are experiencing something new for the first time. Take up a new sport, join some sort of class, or do something you aren’t used to doing. There is something to be said about where you are working, exercising, hanging out, and relaxing. There are places that can inspire you to work and other places that put you to sleep. Make sure you create an environment that supports creativity. Failure is a necessary piece of creativity. Failure actually promotes creativity because it forces you to find another way. Every failure you have is just an opportunity to get creative and find another way to make it happen. Whether it’s taking a walk from your desk or going to the gym to get a workout in, physical exercise stimulates the brain and allows you to think more clearly and freely. Make sure you take at least 20 minutes a day to move and engage your body. You are who you surround yourself with. Make sure to surround yourself with people that regularly practice their creativity. If you have a hard time finding others that are creative, join a class such as art, pottery, improv, poetry, or anything that will get you in the space with creative people. These are all easy and fun ways to tap into your creative side and let your imagination take control. 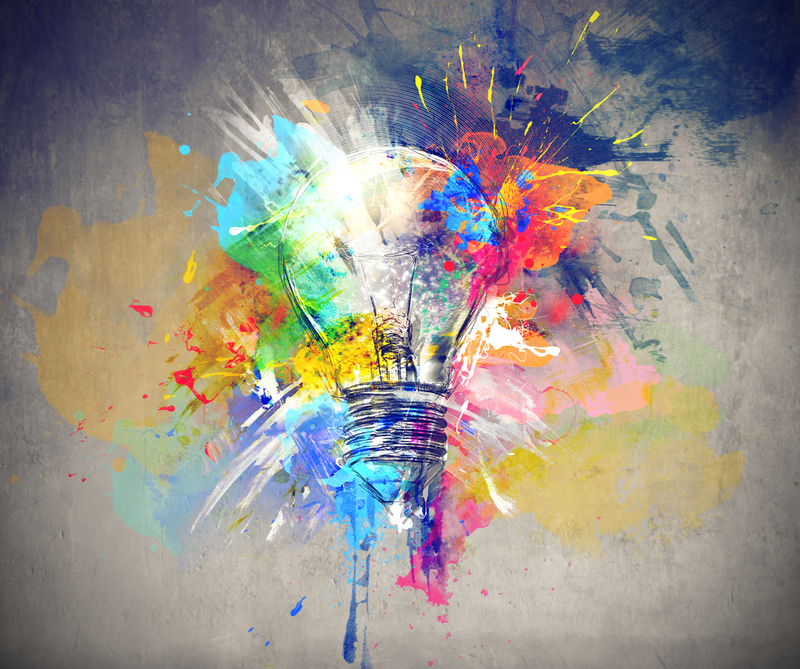 In the world we live in, creativity is an extremely valuable tool for personal growth and overall happiness – make sure you use it! 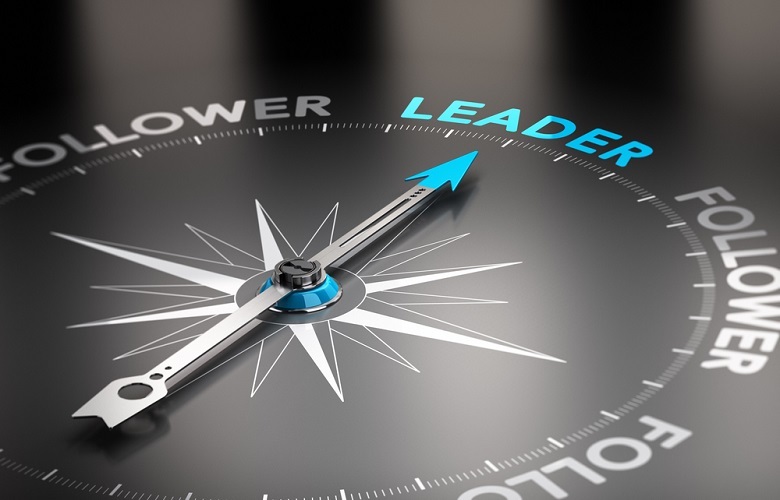 In today’s society, people are looking for people to lead. They are looking for people who are willing to step up and be an example of how to live. The world is dying for people that have the courage to lead themselves so they can impact the world around them. Clarity = Power. All great leaders get clear about what they want. There is nothing more compelling than someone who knows exactly what they want. Clarity creates confidence, and confidence gives people certainty you can lead them. For people to buy into who you are and what you’re about, you need to give them insight on what you’re vision is. A vision inspires and attracts people to be a part of something bigger than themselves. People are looking for leaders who are comfortable showing who they are. Stepping into who you are at your core has tremendous power. Be open, be vulnerable, and be fully transparent with the world around you. Confidence gives people certainty that you will take their ideas and make the right decision. People are naturally drawn to someone who is confident because it’s contagious – It inspires them to bring out more confidence in themselves. Take time to listen to the thoughts, feelings, and ideas of the group. A great leader is someone who takes everyones point of view into consideration and makes everyone feel like they are a part of the vision. When you implement these tools, you will find that stepping in as the leader of a group or a team will come naturally. The world needs people that are willing to take the bold step into the role of leadership. The world is waiting for you to step up and create an impact – it’s time to lead. To get more done in your day to day life, you have to have more focus. Focus allows you to get clear on what you need to do and how you need to do it. When our focus is on multiple different tasks, we don’t allow ourselves to get really present with what we are doing. When working on something, put all of your energy towards that one thing so you can regain your focus. Slowing down your mind can actually get you refocused on the things you want to accomplish. If you are feeling overwhelmed and are having a hard time focusing, try meditating for 5-10 minutes to get clear on the things that need to get done. Having multiple things to do during the day can have your focus going all over the place. Make a list of the things you need to do and put them in order of priority. This will give you clarity on what you need to do and how to be the most effective while doing it. Fitness isn’t only good for our body, it’s good for our brain too. When we exercise, our level of alertness goes through the roof and we are able to focus at a higher level. Over working plays a big role in a lack of focus. When you are feeling overwhelmed, take a break, breathe deep, and get reconnected with what you need to get done. Clarity = focus. Incorporate these 5 practices into your daily routine and you will soon find that your focus will go to the next level. Focus comes from clarity and clarity comes from implementing these habits into your every day life. Get clear, take a deep breathe, and take control of your focus. Drinking tea has shown signs of greatly reducing the chance of heart attack and stroke. Aside from helping prevent various diseases, it also improves the cardiovascular system and overall heart health. 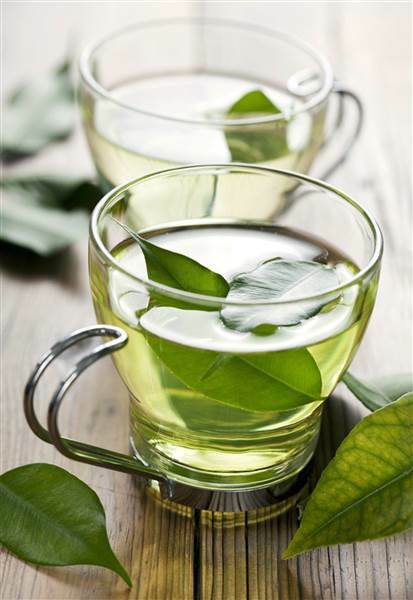 Some teas such as green tea have reduced levels of caffeine which takes away a large part of the negative effects but still gives you the boost you need to win the day. Tea has been shown to boost your metabolism which keeps your body burning fat instead of storing it. It can also curb your cravings so you won’t be as eager to head to the sugar cabinet. Tea can aid in the digestion of foods and and the proper absorption of nutrients in the body. It can also calm nausea, headaches, and other small discomforts that may come up. Tea can actually boost exercise endurance. The antioxidants found in green tea boost your bodies ability to turn fat into fuel, which creates more muscular endurance. Not only does tea work wonders on the heart and your entire cardiovascular system, it also makes for strong bones. Scientists have found that drinking tea regularly improves bone mineral density and bone strength. Tea has been shown to help increase focus and alertness. It also helps keep the parts of the brain responsible for memory and learning in great shape. Whether you are feeling stressed, overworked, or just need a break, a warm tea will instantly calm you down and relive the tenseness you may have in your body. Next time you’re feeling like you need something to relax, sit back, grab a tea, and enjoy! Improve your body, relax your mind, and take your health to the next level with incorporating tea into your daily routine. The results will blow you away! Your level of energy is directly related to your physiology. When you have a strong posture, you will instantly feel more energized. Most people ‘feel lazy’ because they are in a physiology of laziness. Shift your posture to one of power and you will start to feel more energized and powerful. Ditch the coffee in the morning – just start standing tall and strong! Good posture is one of the biggest remedies for back pain. When you slouch, you put tremendous amounts of stress on your spine and neck. To strengthen these areas, you must practice good posture. The more you do it, the stronger you will become! Raise Your Confidence – Look & Feel GREAT! When you are standing or sitting upright, you look taller, slimmer, and more confident to the people around you. Aside from how you look to others, having an upright posture actually makes you feel more confident and certain of yourself. Wait what? Yes, it’s true. It is found that having a good posture can burn up to 350 calories more throughout the day because you are putting less tension on your whole body, allowing everything to flow better. When you get into the habit of having an upright posture, your core muscles are constantly being engaged. As time goes on, it will actually become easier to maintain good posture because your core will be stronger. Over time, you will feel more centred, balanced, and will even find yourself having a flatter stomach! When you are sitting upright, you instantly feel more focused, present, and ready to take on the tasks at hand. This is because when you have good posture, you take in as much as 30% more air as opposed to when you are slouched. This means that when you slouch, it’s significantly harder to keep your energy levels high to get things done. If you want to physically feel better, experience better emotions, and strengthen your body, good posture should be the first thing you commit to. Stand tall, stand strong, and keep your head up. Habits are one of the most important concepts to understand and master. They dictate what we do and how we feel on a daily basis. They are one of the most impactful factors in the direction your life will take. If you can understand how to build and break habits – you are able to take your life to the next level. You are what you consistently do. Building good habits is the fastest way to becoming the best version of yourself. Start to build habits that are aligned with who you wish to become so that you can condition the ‘new you’ every single day. Productivity is built on using time in the most efficient way possible. 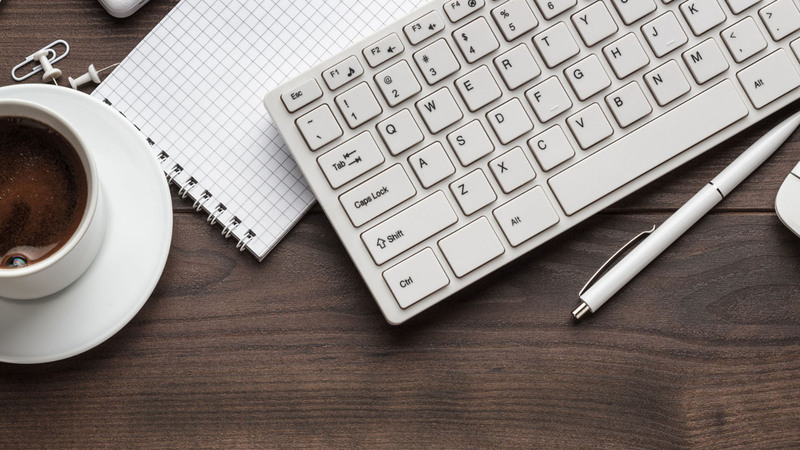 When you are not thinking about some of the tasks you have to complete because they are automatic, (habits) you are able to get more done in a shorter period of time. Plain and simple, Habits = Productivity. Whether you want to lose weight, wake up early, or build strong relationships, habits that support these goals are the most effective strategy for achieving them. Once you set habits that become automatic, the achievement of your goals will instantly become effortless. When you form strong habits, you get more done. As you progress more and more, you gain momentum which is the main building block of motivation. Habits are the key to building massive momentum and momentum is the key to lasting motivation. The key to happiness is progress. Progress in our career, relationships, health, and every other area of life. Habits allow us to speed up our progression and in turn make us significantly happier. Want to invite more happiness into your life? Form some strong habits that will constantly move you forward. 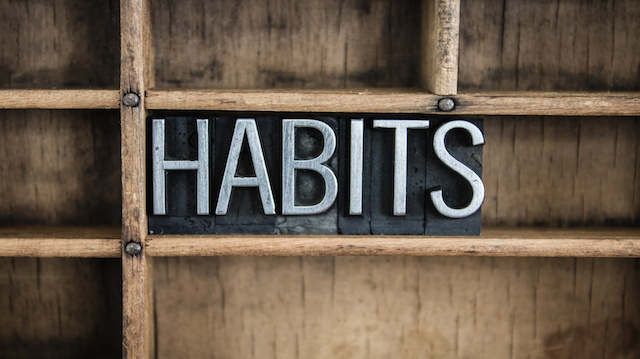 Habits are an essential part of any successful lifestyle. To grow we must build habits that support that growth. Identify the habits you want to create and work on strengthening those habits every single day. Balancing all that life has to offer can be tough, but it can be even tougher if you spend time on things that don’t move you forward. 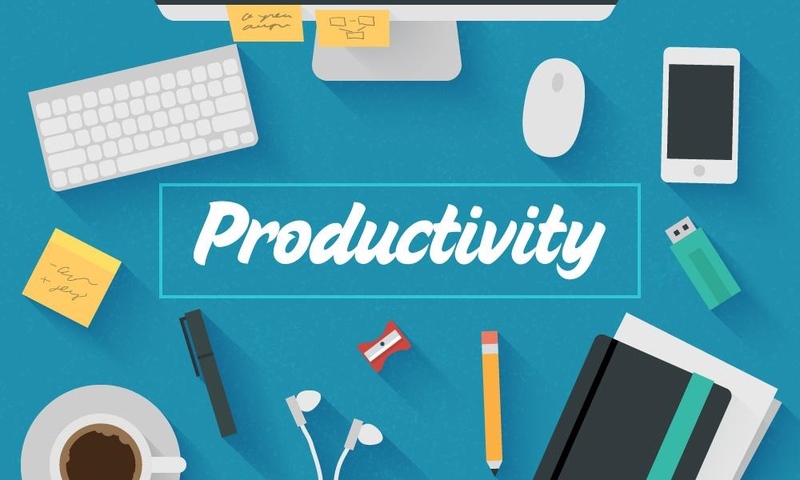 Productivity is a skill that can be mastered and is something that can drastically change the results you get in regards to the things you wish to achieve. What you do in the first hour of your day sets the tone for the rest of the day. Waking up early allows you that bit of extra time to get yourself in the right mindset to crush the day. It is proven that early risers get more done, experience less stress and are happier people overall. You are the sum of the 5 people you spend the most time with. Make sure you are spending the majority of your time with people who are aligned with the level of productivity you want to embody. If you’re feeling a lack of motivation to get productive and smash your goals, find people that are and spend time with them! A big struggle that a lot of people have is a lack of clarity on what they are suppose to do, in what order, and at what time. Planning your day the night before gives you guidance on the outcomes you want to achieve the following day and gives you the ability to jump right into what you need to do right when you wake up. Whether it’s your office, kitchen, or bedroom, having a mess causes you to feel stressed and gives you a feeling of overwhelm. Having an organized life is directly related to the amount of productivity you have. Get rid of the clutter and get organized so you can get in the mental space of producing results. One of the most powerful things you can do is the act writing down your goals and planning out the action steps to achieve them. This puts you in the mindset of achievement and allows you to draw a line from where you are now to where you want to be in the future. Having clear, written out goals is like rocket fuel for the level of productivity you create. We all want to be a little more productive. We all have a desire to do more, be more, and create more. The real question is, are you willing to do what it takes? Are you willing to sacrifice who you are now for who you will become in the future? This is a decision that only you can make. You need to decide that you want more from what you are getting currently and not settle for anything less than what you want. To get different results out of life, you must produce at a different level – You must supercharge your productivity. There have been multiple studies done in which surgery patients saw a 2x – 4x decrease in regards to their post-surgical pain. Music triggers a different part of your brain which takes the focus away from the pain receptors in the brain. Want to take the edge off? Throw on your favourite song! Relaxing music steadies your heart rate and decreases your blood pressure – two things directly related to elevated levels of stress. Music allows you to slow down and calms your entire system both inside and out. Next time you’re feeling a little on edge, put on some of your favourite relaxing music and breathe deep – you will be surprised to see what happens! Music stimulates the same “pleasure centre” in the brain that is triggered by laughter and delicious food. Aside from it triggering the part of your brain responsible for pleasure, it also can bring you back to a moment of pure bliss just by listening to a few seconds of the anchored song. Since music has been proven to have calming effects on the body, it allows you to get into a flow of working much easier. When you freely and solve problems more effectively. When listening to music, your brain starts to put the pieces together to complete the picture of what you’re listening to. 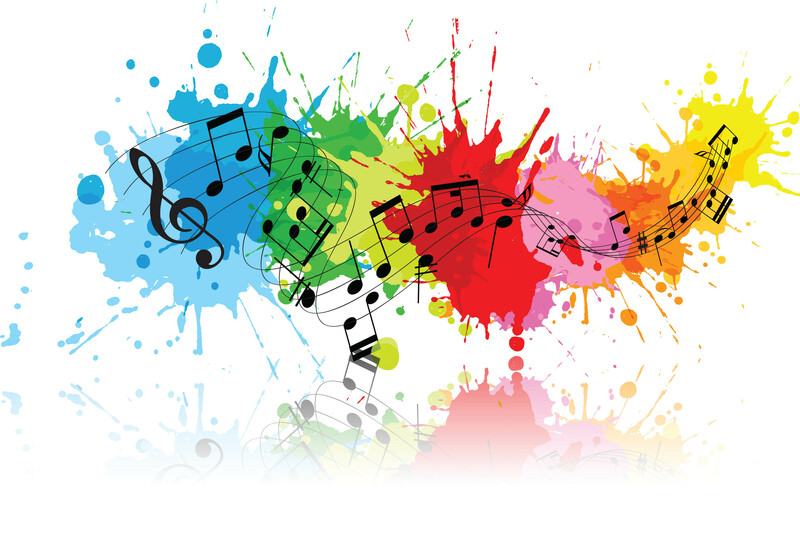 Some associate certain visuals, emotions, or even scents to a song they hear which makes them use the right side of their brain – the hub of creativity. Music literally puts you in a creative state of mind to be able to create ideas on a greater scale. 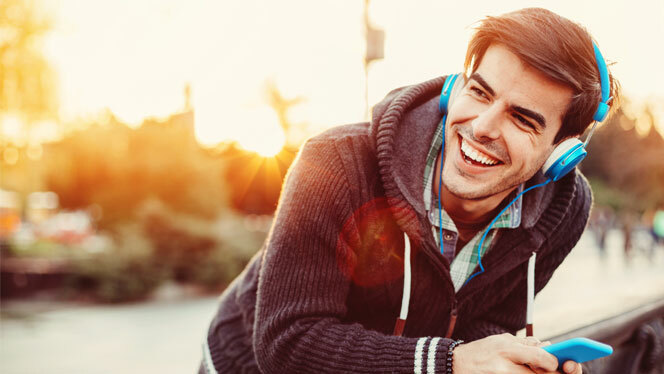 Whether you want to reduce stress, get over anxiety, or just have even more happiness on a daily basis, start incorporating music into your daily routine. Ideally, look for classical, calming music between 60 BPM (beats per minute) and 140 BPM. This will stimulate the rhythm of your heart beat and starting the relaxation process immediately. It is impossible for fear, anger, frustration, or any other negative emotions to be present in the brain while in a state of Gratitude. Gratitude puts your brain in a state in which negative feelings can simply not exist. 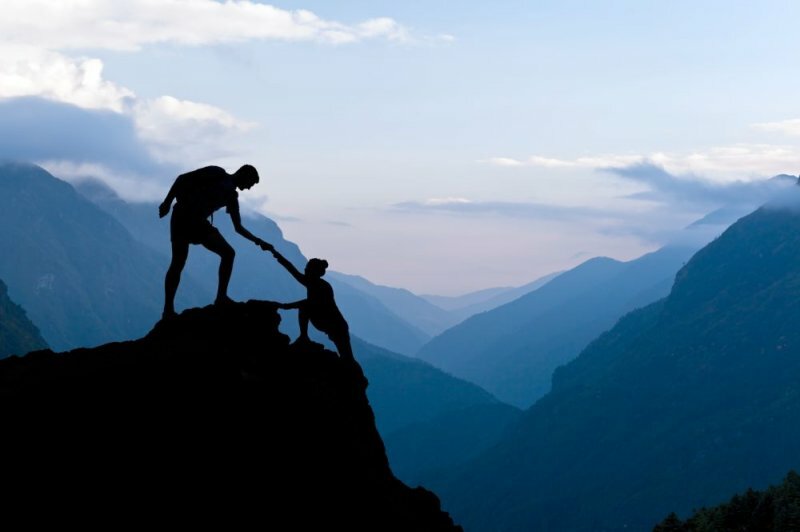 Whether it is holding the door for someone or showing your appreciation by doing a good deed, Acting out of appreciation makes you more likely to build strong and lasting relationships. People that practice gratitude regularly tend to take care of their health by regularly working out, eating right, and having a routine check up with a doctor. When you step into the space of gratitude on a daily basis, your brain starts to get conditioned for all of the positive emotions associated with being grateful. Gratitude creates a ripple effect that spreads to the other areas of your life, causing you to feel better overall. A study found that people who kept a gratitude journal and wrote a few things down before bed slept better than those who didn’t. Grab a journal & pen, put it on your bedside table, and write a few things you are grateful for. When you focus on what you have as oppose to what you don’t have, your self-esteem raises, giving you a new sense of certainty. Confidence comes from focusing on who you are, what you do have, and what you can appreciate about your situation. Adopting gratitude into your life, especially after having something traumatic happen, can build resilience to get through life biggest challenges. Gratitude builds physical, emotional, and spiritual strength. We all have the gift of showing and practicing gratitude. It can change us physically, emotionally, and spiritually for the better. It gives us the ability to love fully, grow exponentially, and live greatly. Give yourself the gift of gratitude and it will drastically change your life. It keeps us alive, quenches our thirst, and keeps our bodies running at an optimal level. But what are some of the real benefits besides keeping us alive? How does it positively impact our system? And how much should we have anyways? Here Are Some of the Benefits of Drinking Water! Since your brain is mostly water, drinking it helps you think, focus better, and be more alert. On top of that, your energy levels go through the roof! By drinking water, your belly fills up and your hunger is reduced. It also boosts your metabolism and has zero calories. Drinking water moisturises your skin, keeping it fresh, soft and glowing. It gets rid of wrinkles and takes years off your appearance. If you drink enough water, your likelihood of sickness is significantly reduced. Regular consumption of water helps fight against the flu, cancer, and other serious diseases. 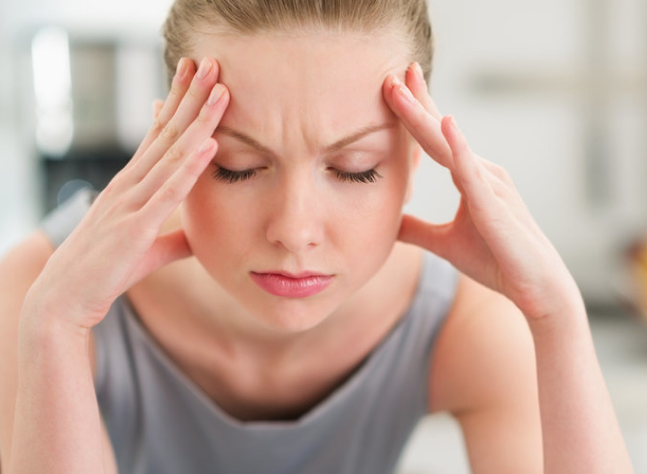 Often headaches are caused by dehydration. Want to get rid of that headache that keeps coming up? Drink up! On top of it being the best liquid you could ever put into your body, it is absolutely free at most restaurants. Heal your body and your bank account at the same time! The way we treat our bodies has a significant impact on our emotional well being. The healthier our bodies are, the better handle we will have on our emotional states. Many experts say that you should aim for 8 cups of water a day. But considering all of our bodies are different, a better measure is half your weight in ounces daily. The quality of your morning is directly related to the quality of the rest of your day. With that being said, make sure your morning sets your day up for success! Waking up earlier allows you to get proper nutrients into your body sooner which boosts your metabolism. The most successful people in the world are early risers. It’s simple, if you wake up early, you get more done. The first hour of your day has a big impact on your emotional state for the rest of the day. By waking up earlier, you reduce stress by eliminating the rush of the mornings. 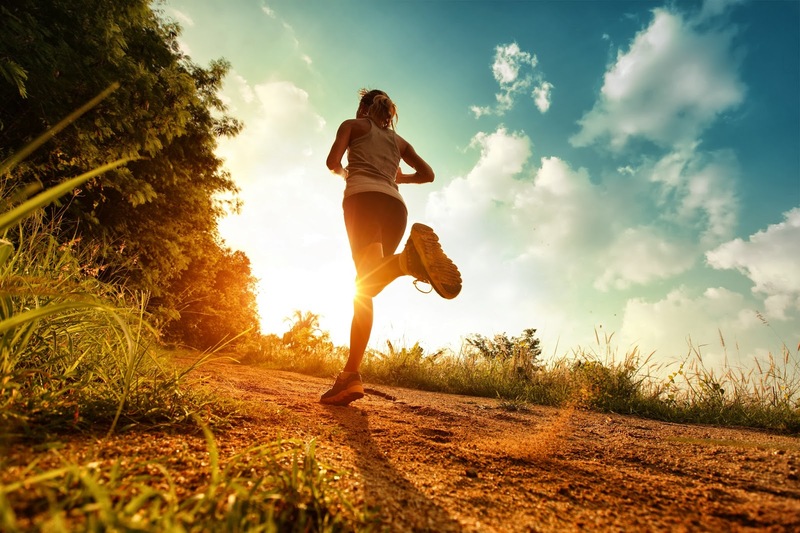 Exercise is one of the most important things you can do in the morning because it energizes your body and gives you the boost you need to win the day. By consistently waking up early, your body gets accustomed to a sleep routine. This improves the quality of sleep you get because your body’s internal clock is now in sync with your sleep schedule. Your morning routine has a significant impact on the direction of the rest of your day. Make sure that your morning routine is purposeful, consistent, and sets your day up for success. Our bodies are constantly working to keep us healthy so we can function at an optimal level. Our role in keeping our bodies in top shape is built on two things – our nutrition and our physical activity. Both are necessary in leading a healthy lifestyle. We’ve talked a lot about nutrition in past newsletters so now it’s time to cover the other piece to the puzzle – physical fitness. – Maintains your weight and can promote weight loss. – Prevents heart disease and keeps your heart pumping optimally. – It improves your mood and can instantly make you feel better. – Boosts your energy levels. Feeling tired? Workout! – It gives you great skin! – Helps you sleep better at night and makes you wake up feeling well rested. – Greatly reduces stress and anxiety in your life. – Releases natural endorphins in the brain which make you feel great. – Combats negative emotions such as anger, frustration, and depression. – You are less likely to have muscle injury. A suggested amount of physical activity 3 20-minute sessions a week. Get active and take one step closer to a healthier lifestyle. The PERMA model was designed by Dr. Martin Seligman with five core element of psychological well-being and happiness. Seligman believes that these five elements can help people reach a life of fulfillment, happiness, and meaning. Being able to focus on positive emotions is more than just smiling, it is the ability to be optimistic and view the past, present, and future in a positive perspective. This positive view in life can help you in relationships, work, and inspire you to be more creative and take more chances. Relationships and social connections are one of the most important aspects of life. Humans are social animals that thrive for connection, love, intimacy, and a strong emotional and physical interaction with other humans. Having a purpose and meaning to why each of us are on this earth is important to living a life of happiness and fulfillment. Rather than the pursuit of pleasure and material wealth there is an actual meaning to our life. Such meaning gives people a reason for their life and that there is a greater purpose to life. You should make realistic goals that can be met and just putting in the effort to achieving those goals can already give you a sense of satisfaction, when you finally achieve those goals a sense of pride and fulfillment will be reached. Having accomplishments in life is important to push ourselves to thrive and flourish. Smiling Releases Endorphins (one of the ‘feel good’ chemicals) in the brain that makes you feel better instantly. It’s contagious! Seeing just one person smiling activates a certain part of your brain which controls facial movement and makes you smile. Lowers stress and anxiety. Studies show that it can actually reduce heightened heart rate and calm you down. Studies have shown that smiling makes you more attractive to the people you are smiling to. It strengthens your immune system and promotes the healthy flow of blood throughout the body. You will do better in your career.People want to work with people that are warm and inviting and a smile does just that. You will come off as more trustworthy to the people you interact with. You will be a better leader. People want to follow someone who is inviting and charismatic. The was you show that is through your smile. You will be more confident. Smiling is one of the #1 signs of someone who is confident. Want more confidence? Start by smiling. It acts as a natural painkiller. Maintain a regular sleep schedule. Go to bed at the same time each night and wake up at the same time each day, including on weekends. Don’t take naps! This is one of the biggest mistakes you can make if you have trouble sleeping. Daytime naps will make the night-time sleep cycle disruption worse. Create a soothing night-time routine. A warm bath, meditation, or massage can help you relax. Pay attention to your environment. Your bedroom should be comfortable. Control the temperature so that your room isn’t too hot or too cold. Use sound therapy. Soothing nature sounds, soft music, wind chimes, white noise makers or even a fan can induce a very peaceful mood and lull you to sleep. Avoid a full stomach. Don’t eat for at least two to three hours before going to bed. Watch out for stimulants. Don’t drink any caffeinated beverages and avoid chocolate, nicotine, and alcohol in the late afternoon or evening. For you brain to stay in peak shape, it needs to be engaged and used. Reading is one of the most effective tools for mental stimulation. 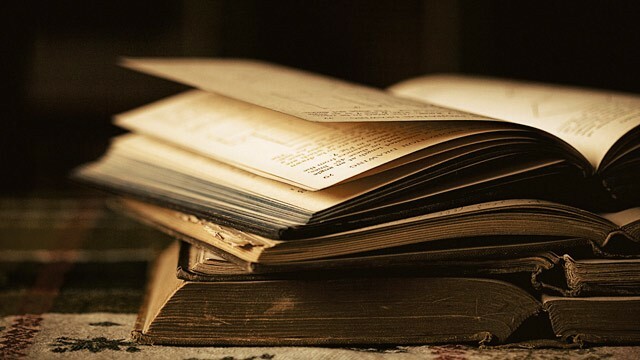 No matter what is going on in your life, picking up a good book and getting into the story will take your focus away from the stress you are experiencing and put your focus into the story. Everything you read fills your brain with information. Constantly feeding your mind with new knowledge will make you more prepared to deal with the things life throws at you. The more you read, the more you force your brain to retain information thus strengthening your memory. With all of the distractions we have in today’s society it is hard to catch a break. Reading puts all of your attention on a single task which helps to strengthen your ability to focus for extended periods of time. Readers are leaders. The more you read, the more resources you will have to overcome challenges, breakthrough limitations, and achieve what you want.